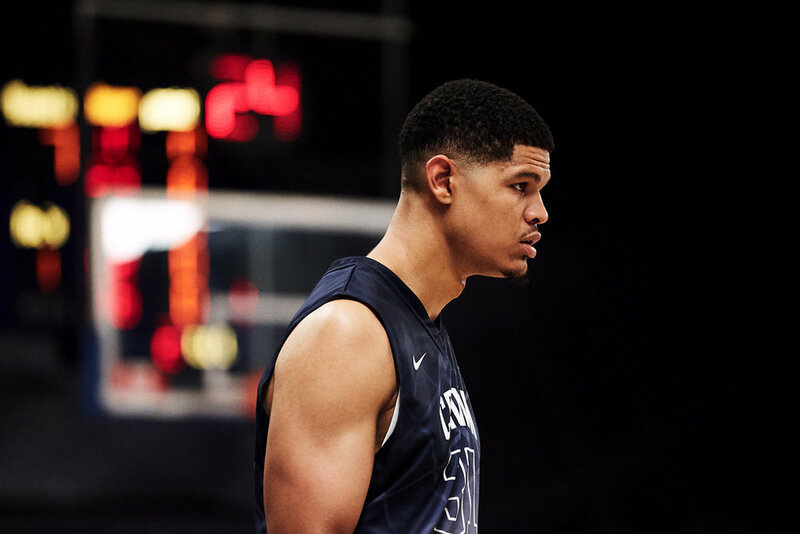 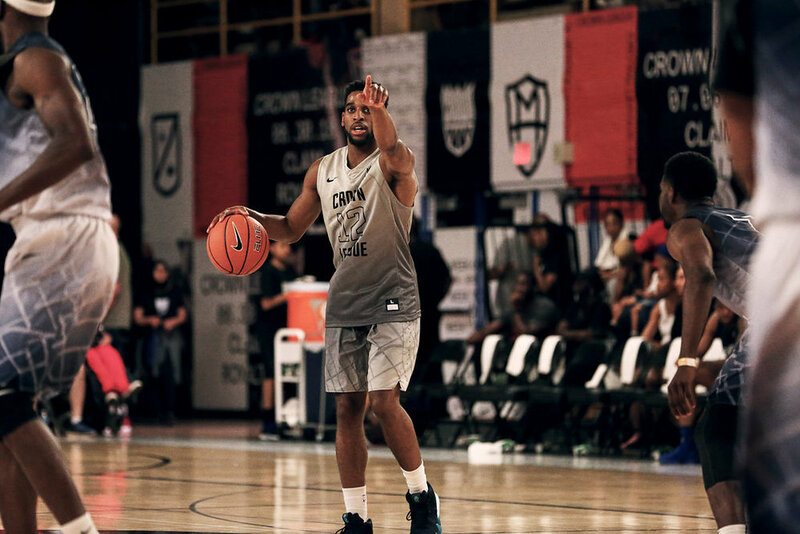 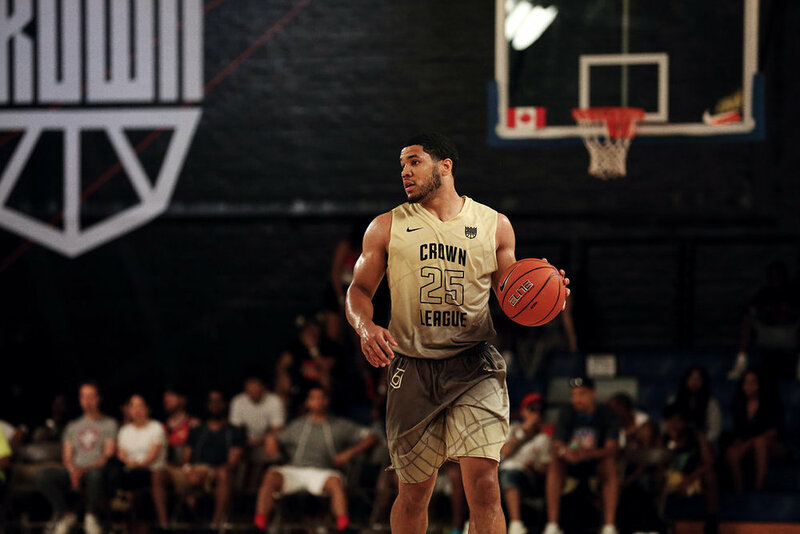 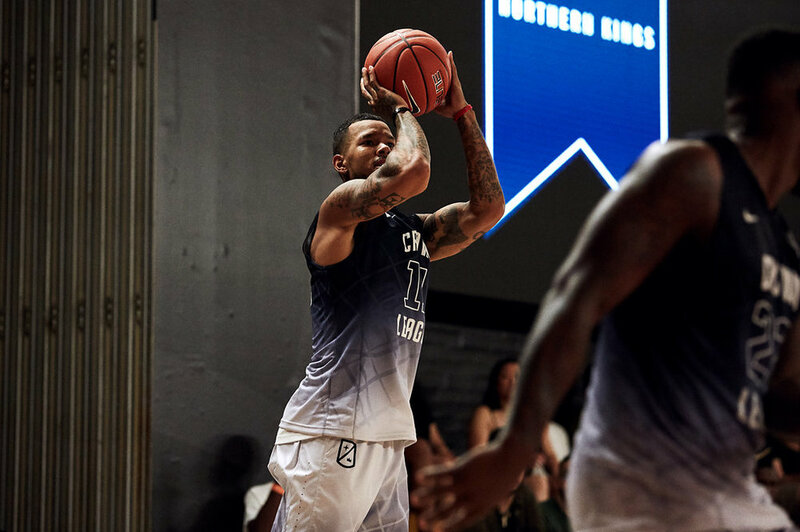 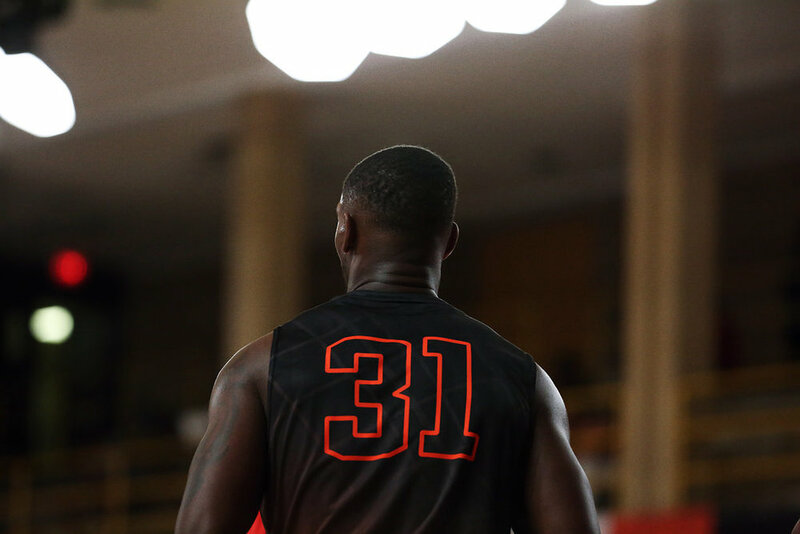 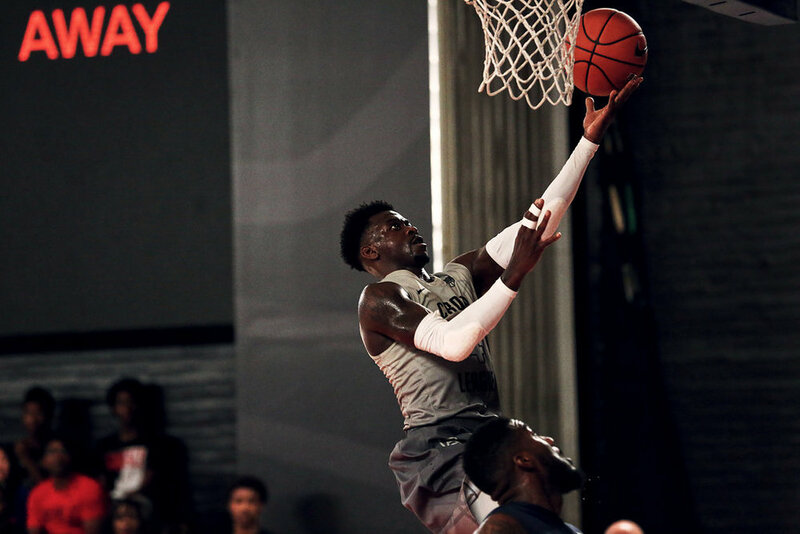 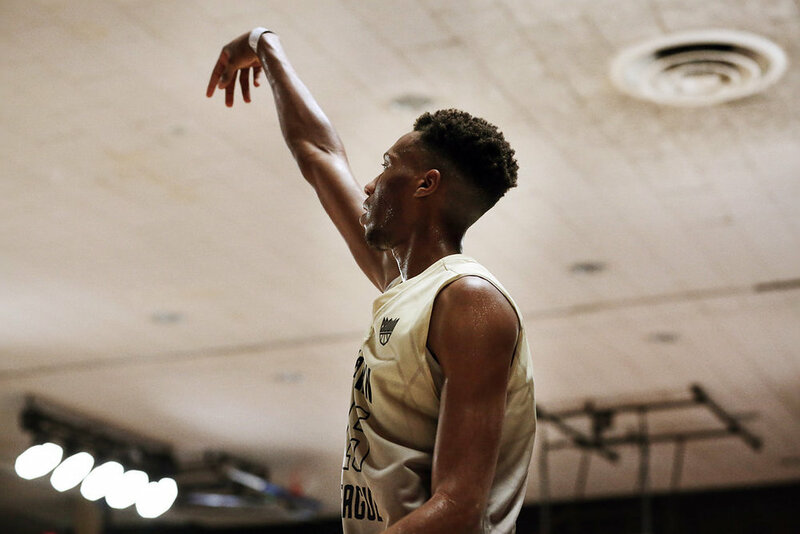 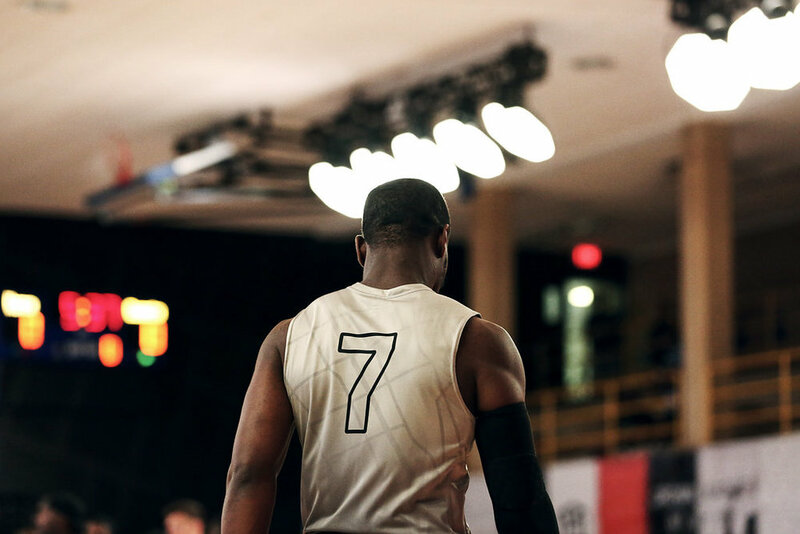 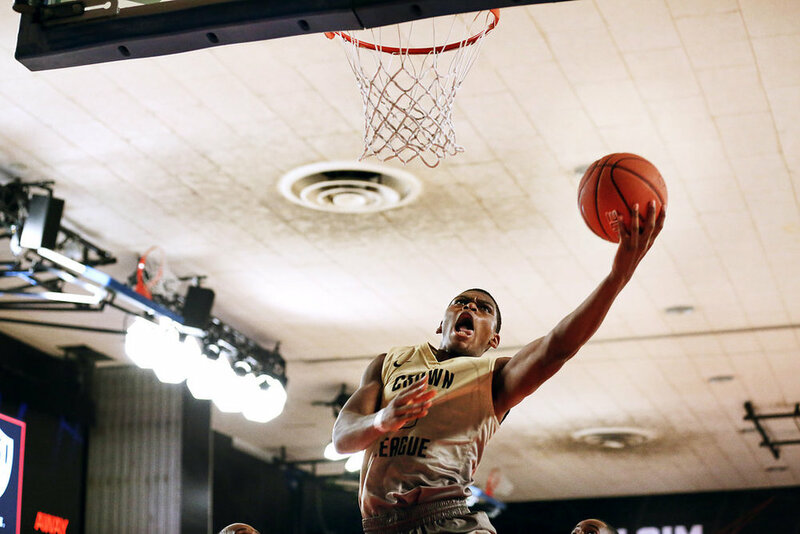 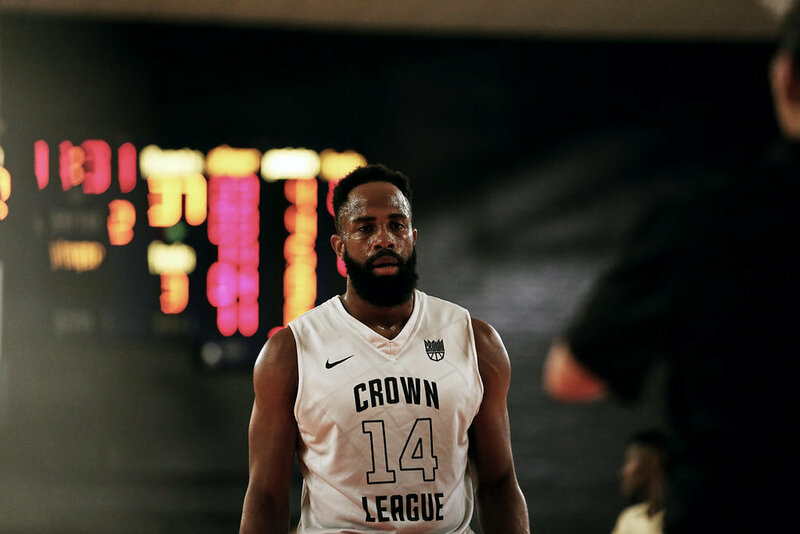 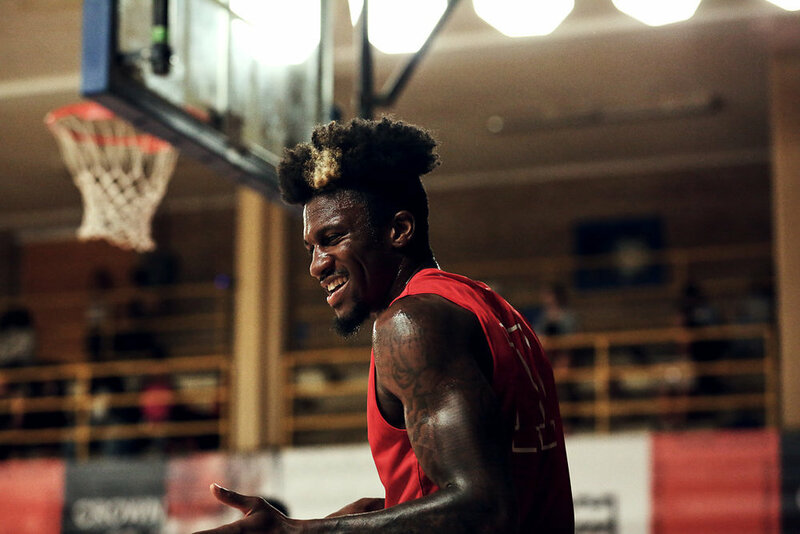 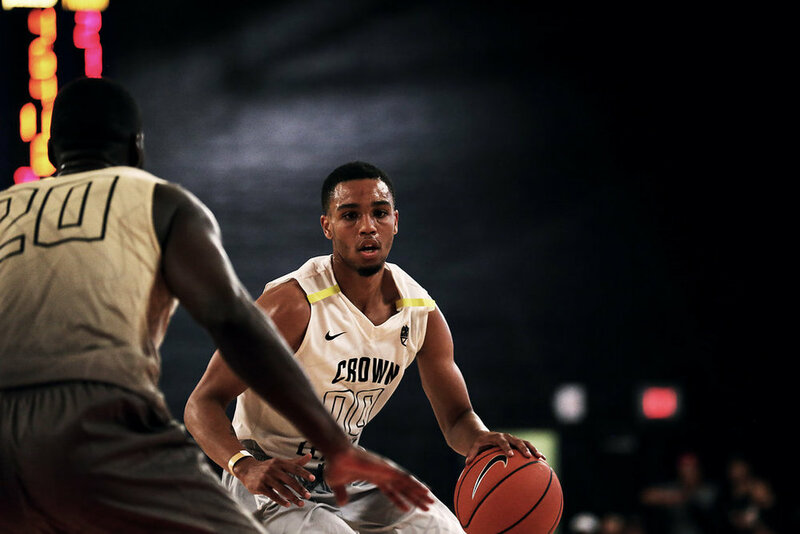 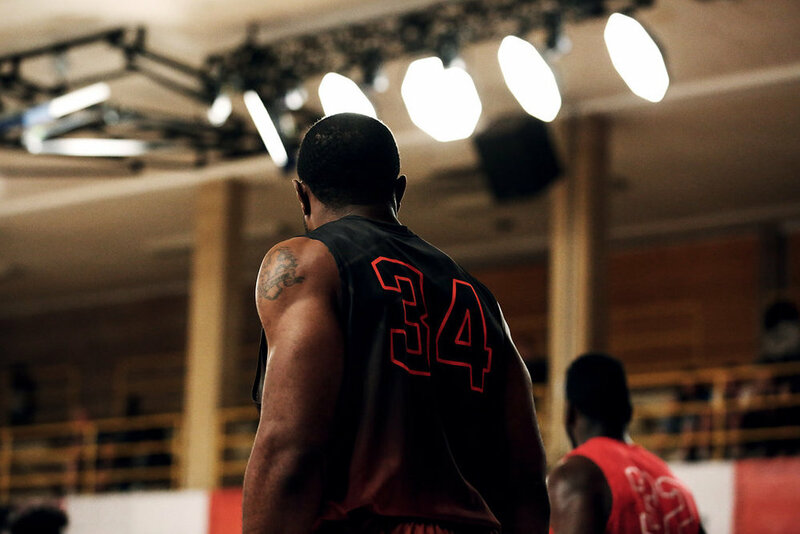 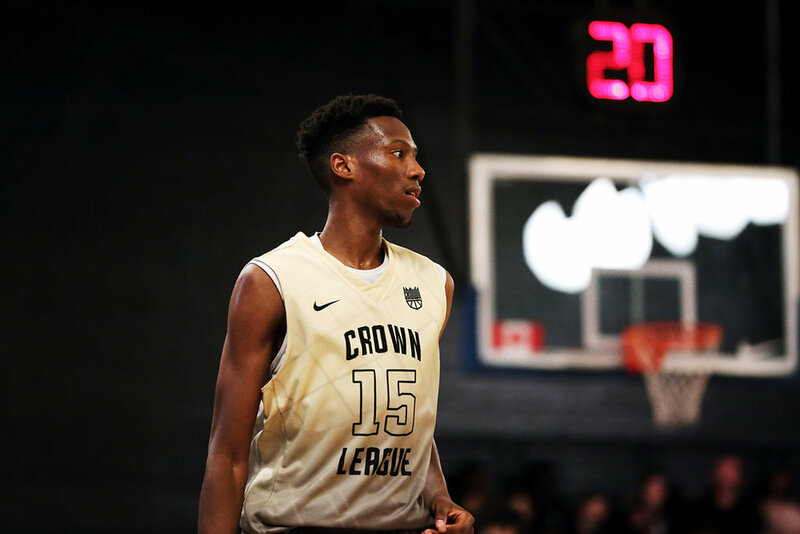 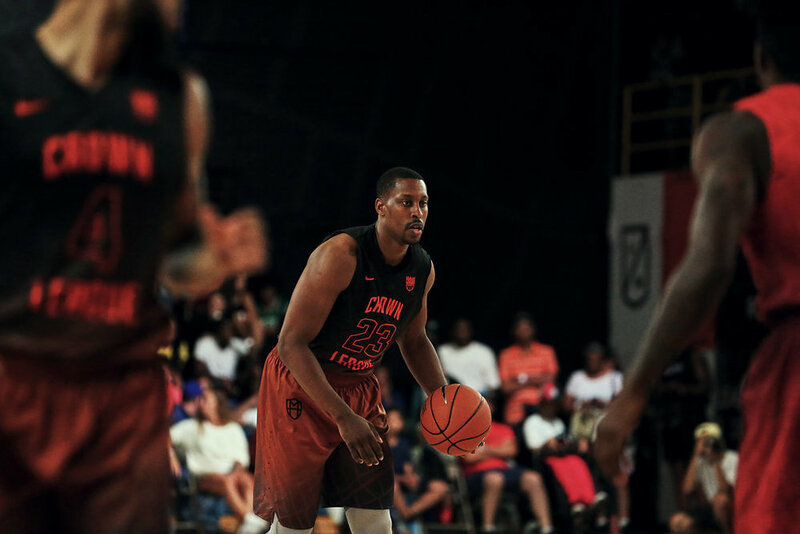 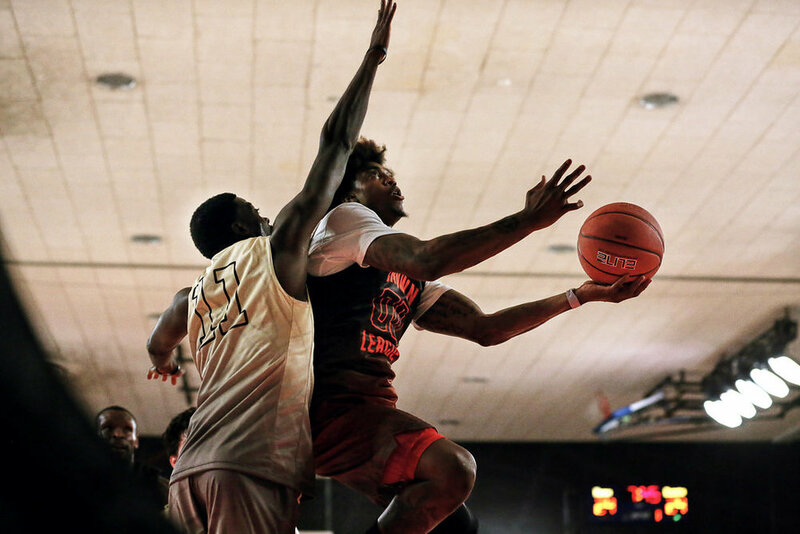 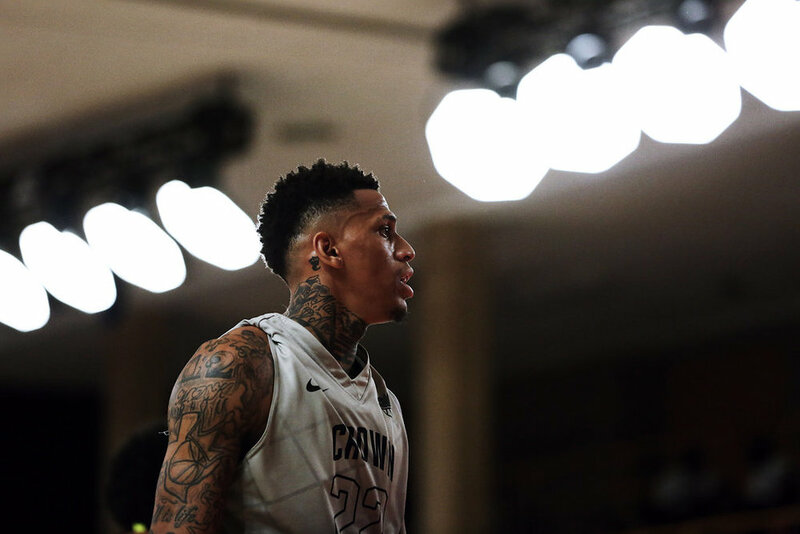 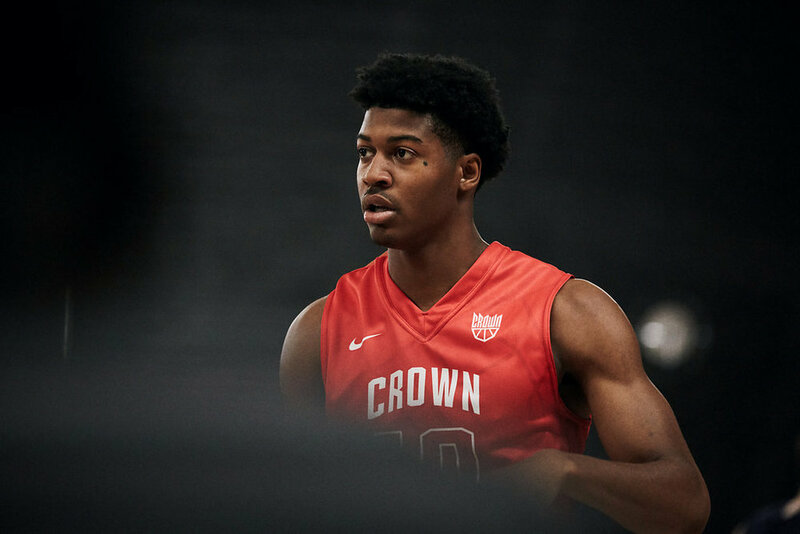 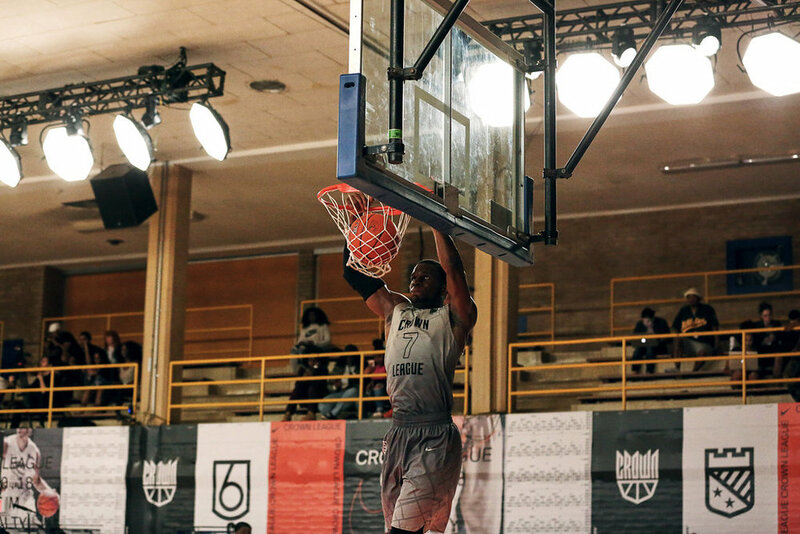 With week one of Crown League underway, we sat courtside to catch all the action. 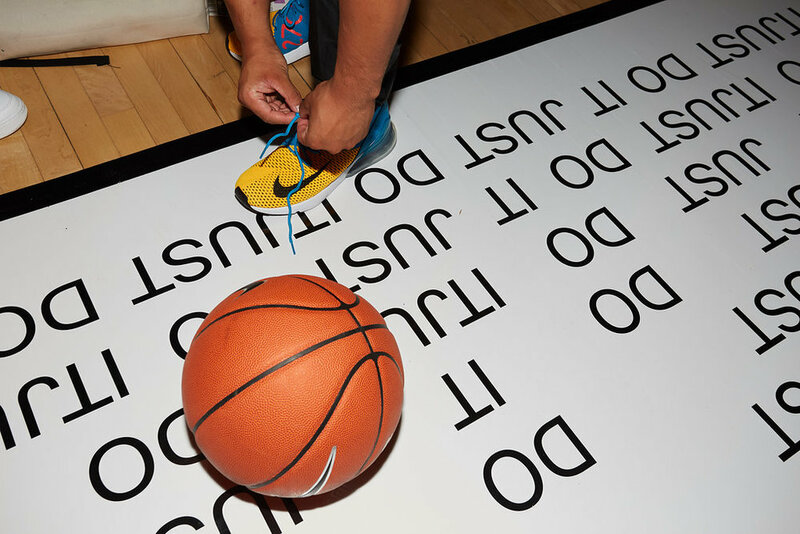 Catch us there for the next five weeks. 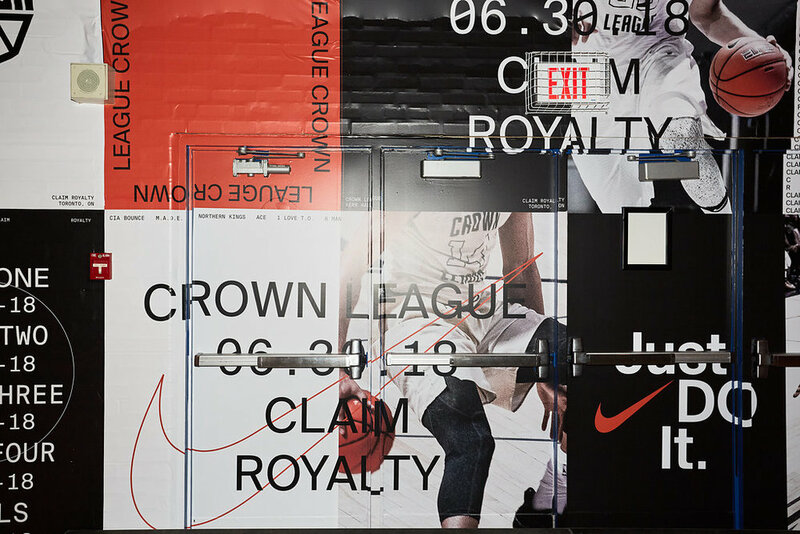 The Kingdom of Crown is back in The Six to showcase it’s royalty and reign over the city. 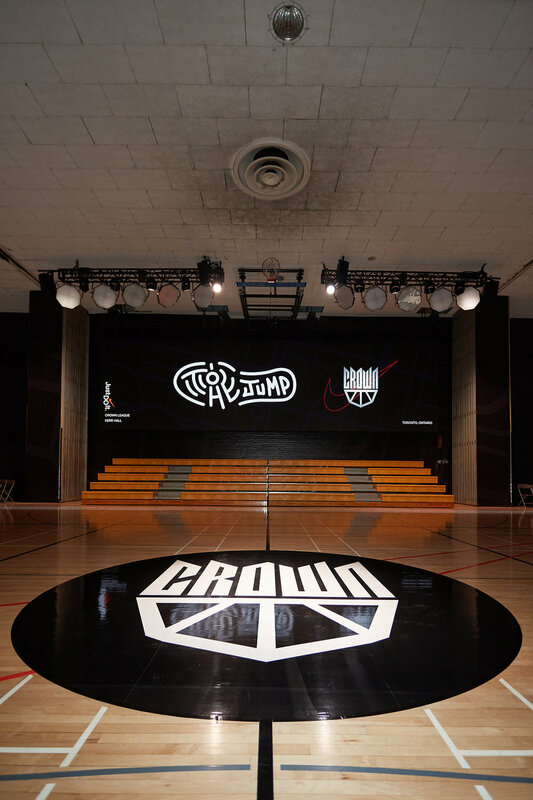 6 squads, 5 weeks, 1 crown. 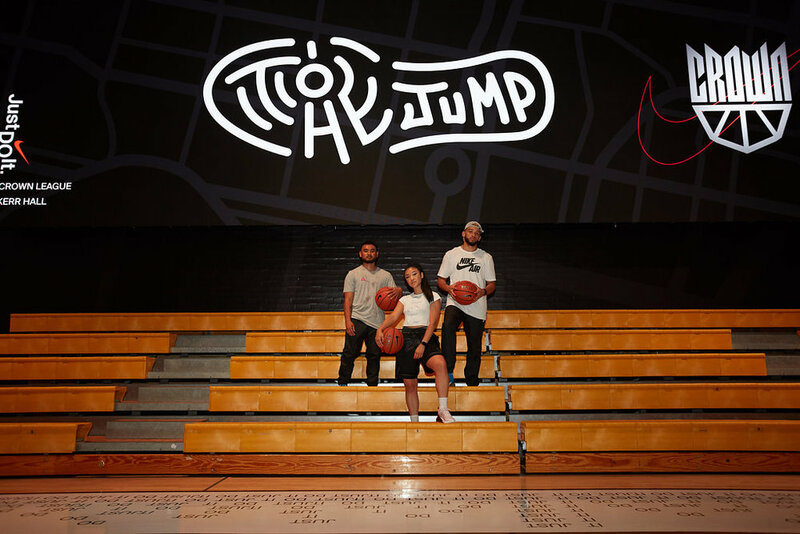 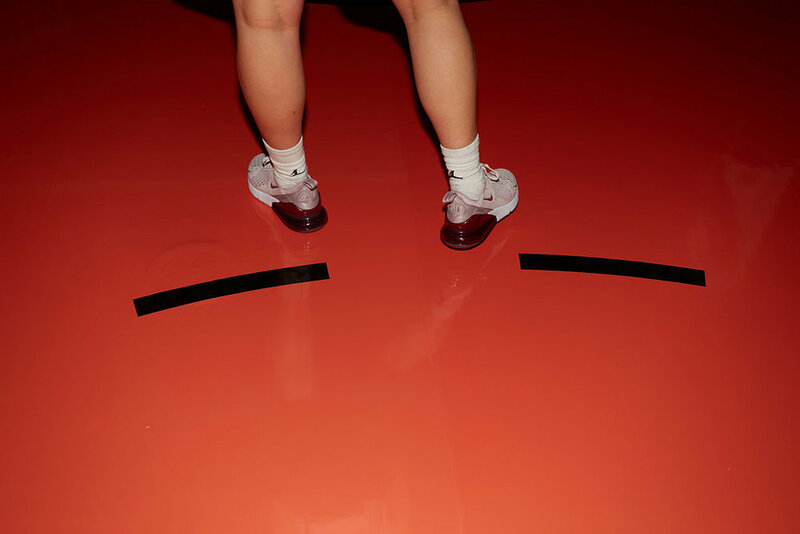 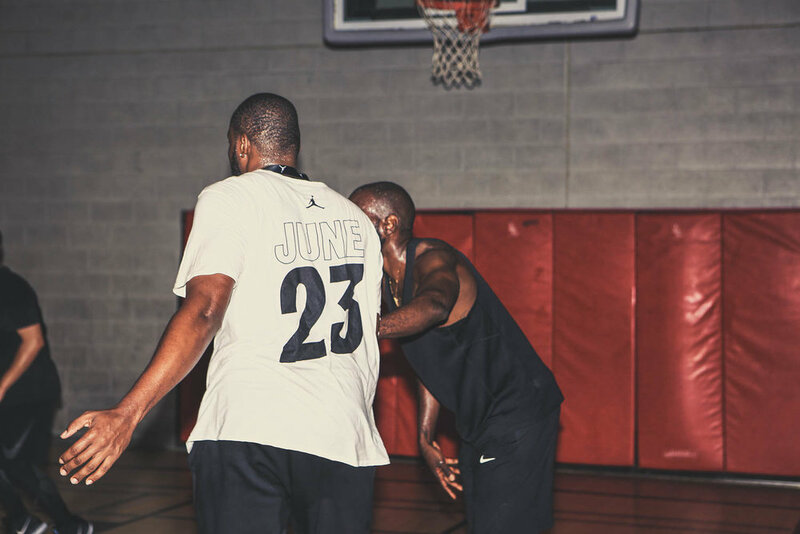 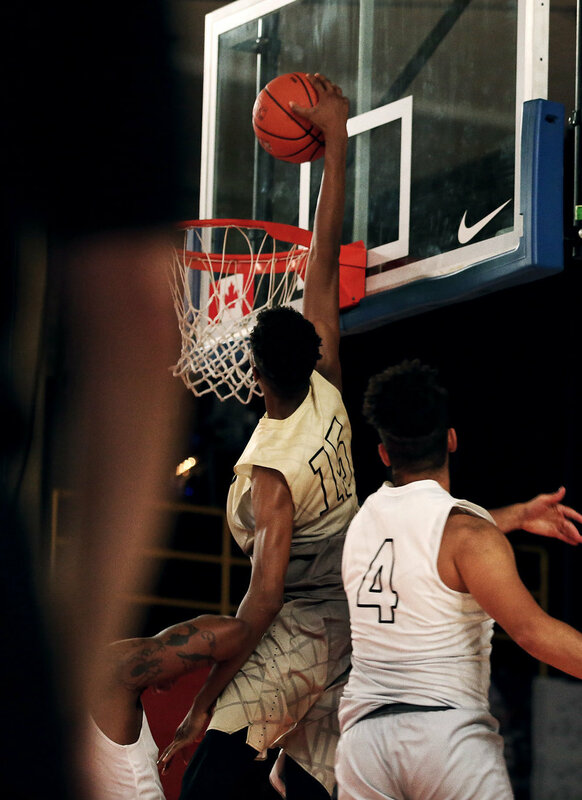 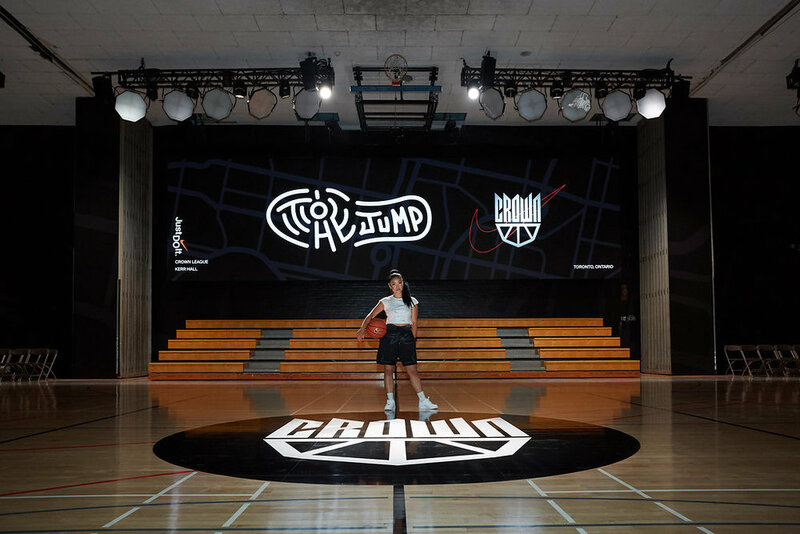 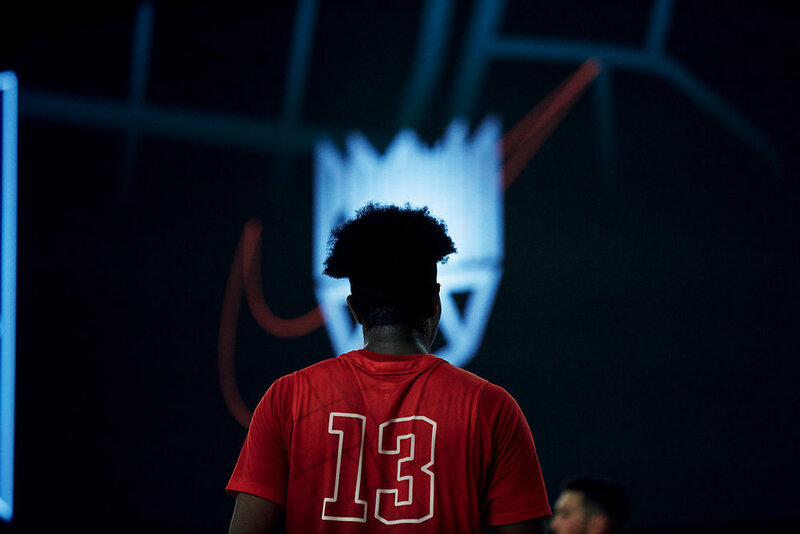 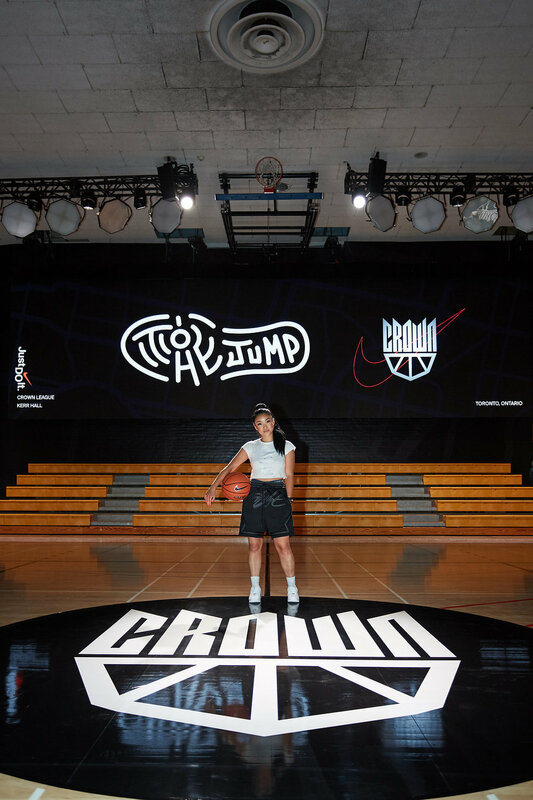 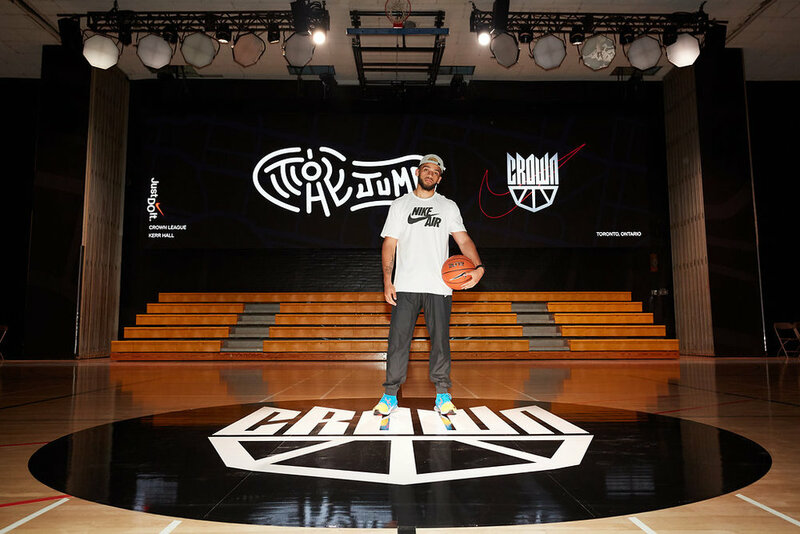 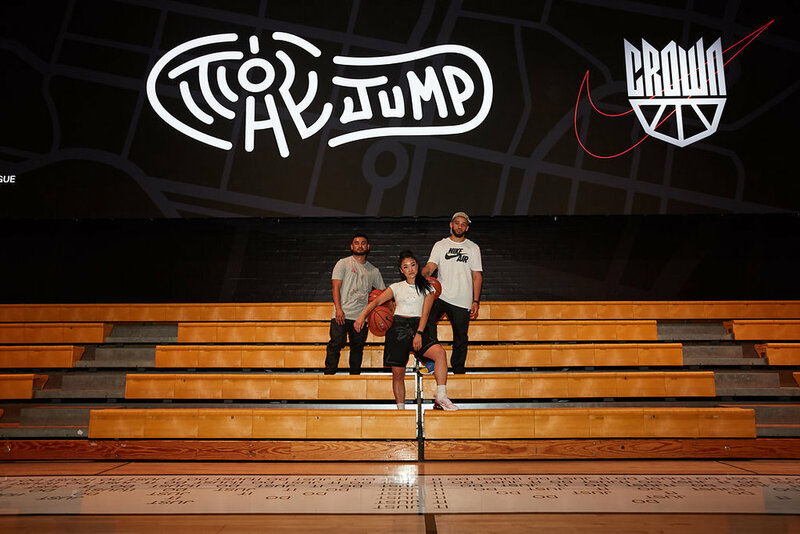 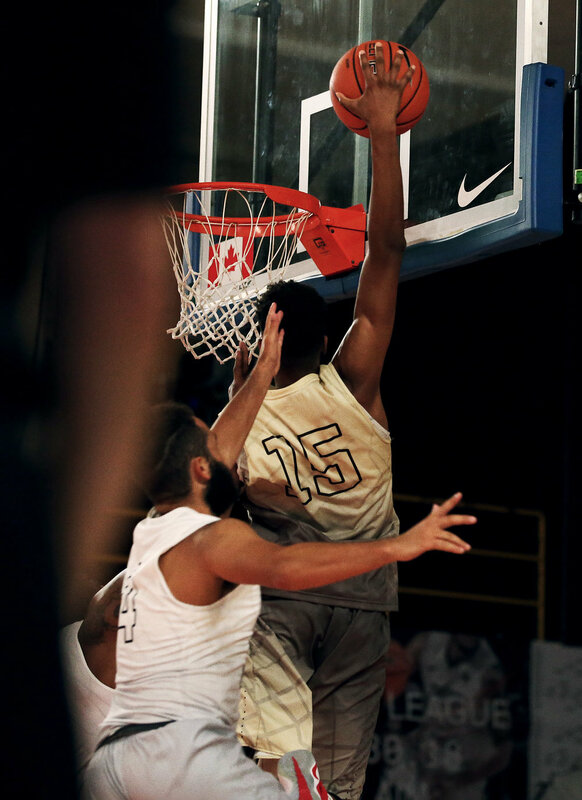 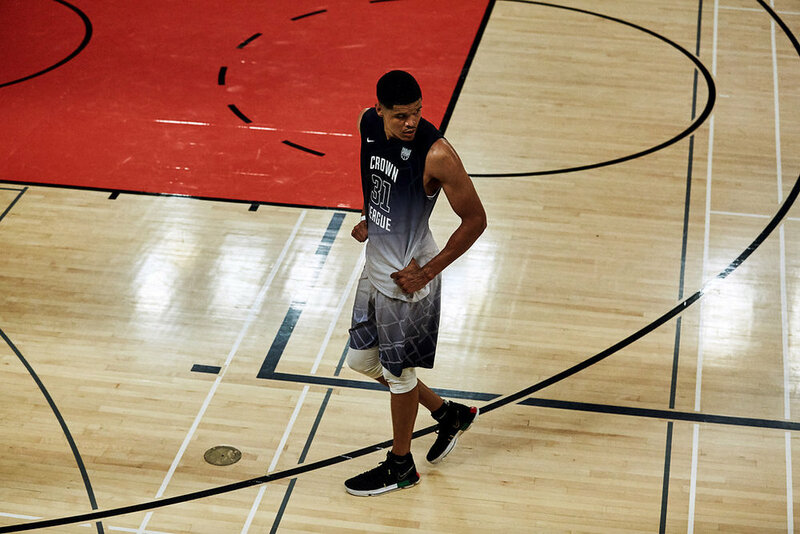 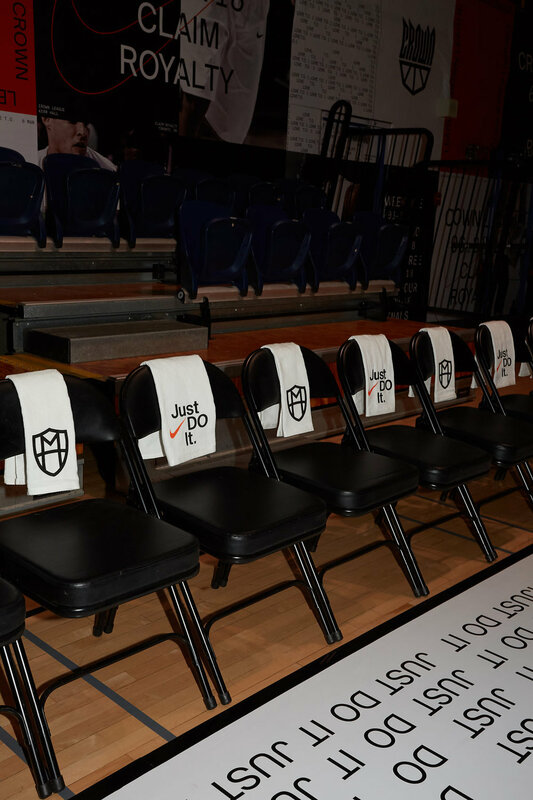 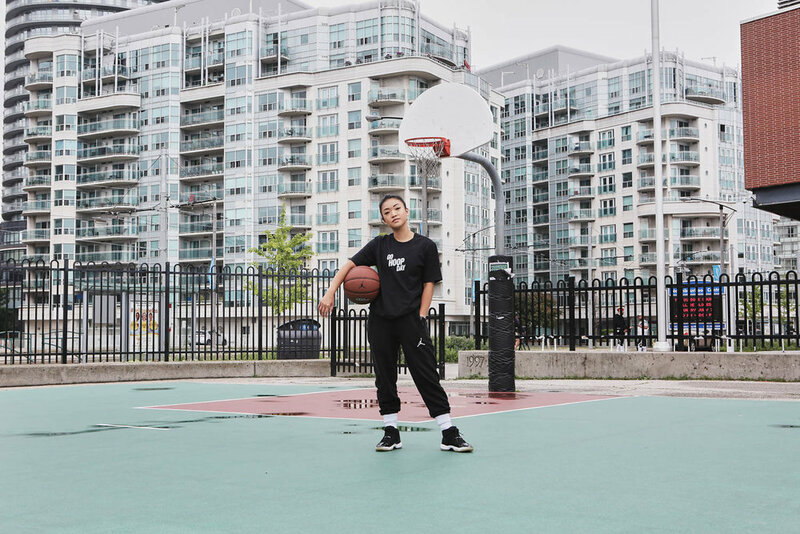 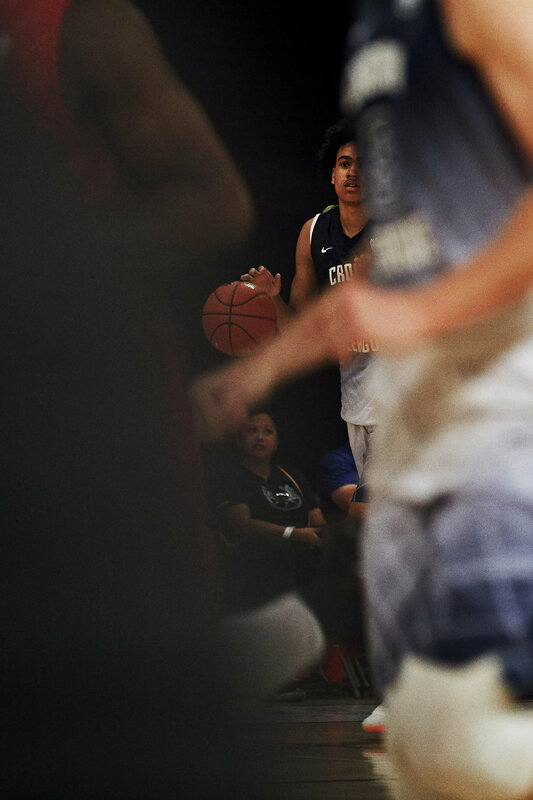 As we approach season four of Nike Toronto's Crown League, The Jump was invited to preview the official court first.Unfortunately most of our team was away for the long weekend so it was just the three of us. 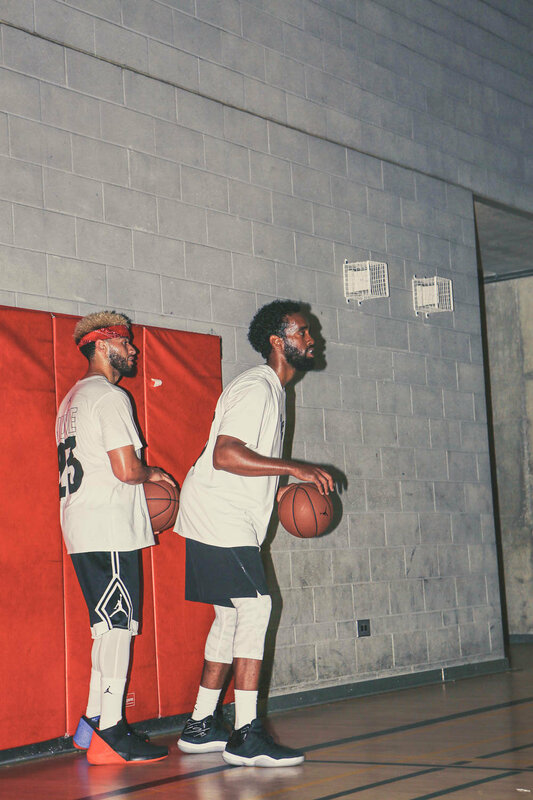 Got buckets anyway. 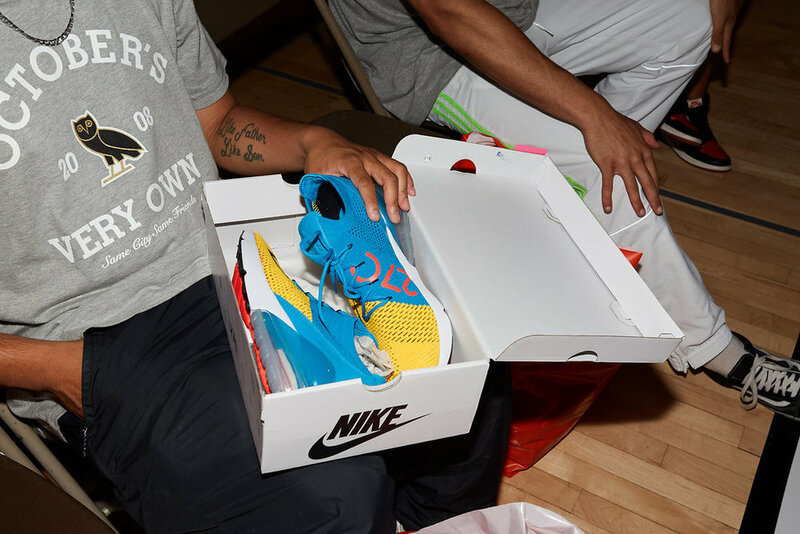 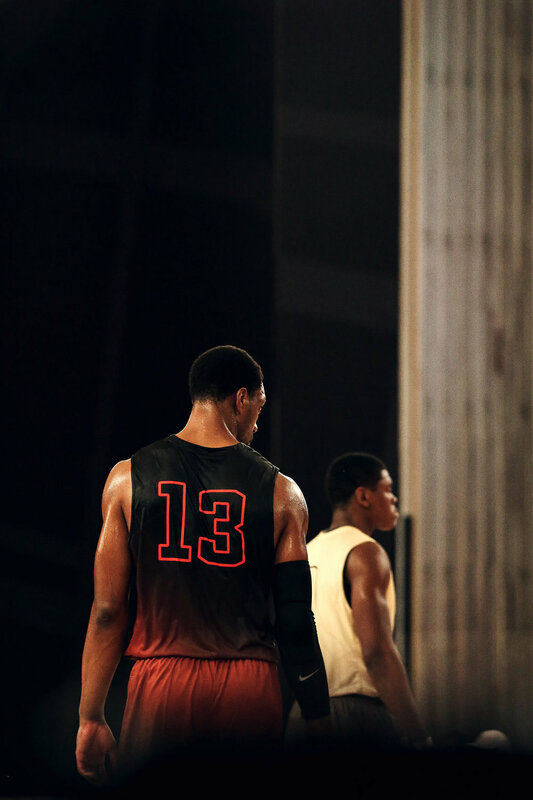 Didn't think Nike could outdo themselves after last year, but they did. 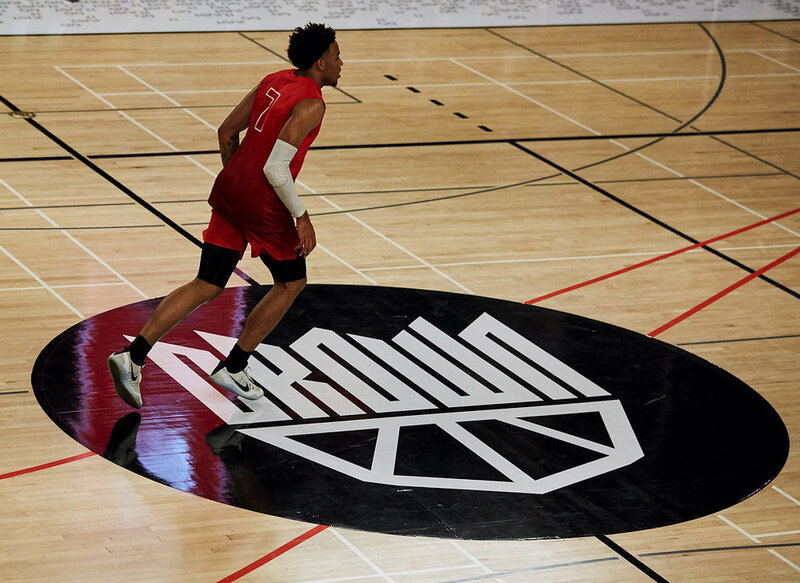 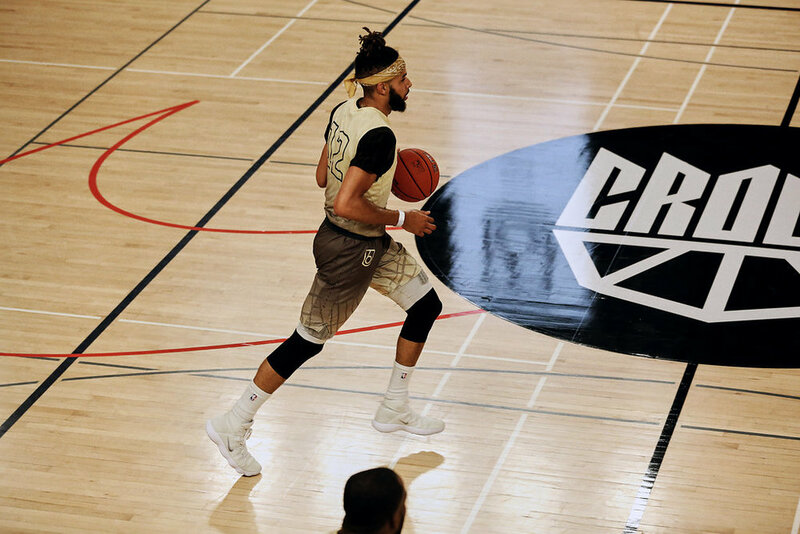 The court at Ryerson University's Kerr Hall transformed into an epic court that will house Crown League for the next five weeks. 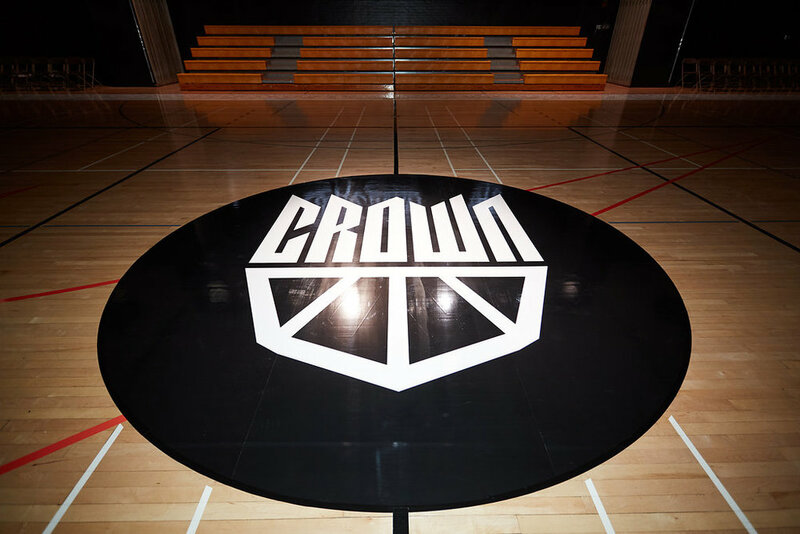 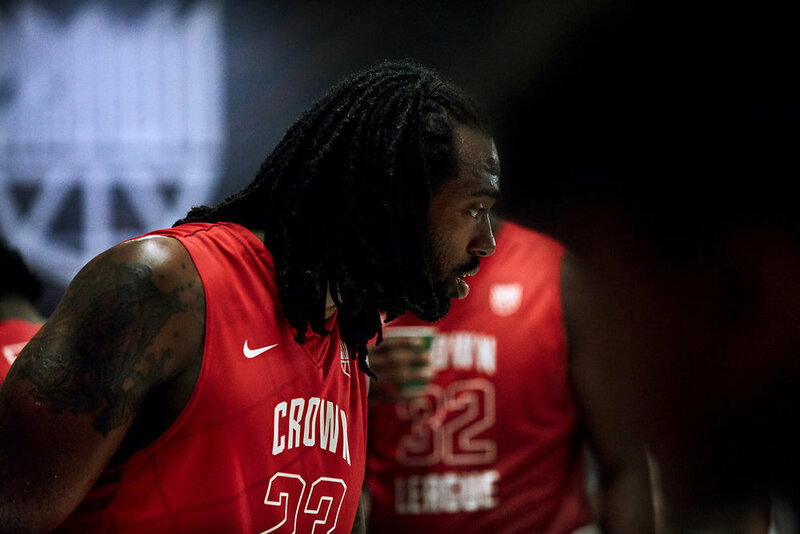 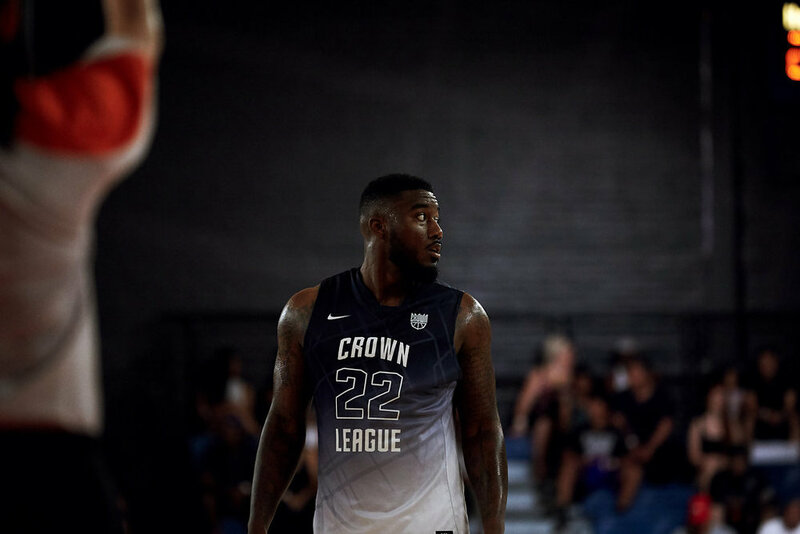 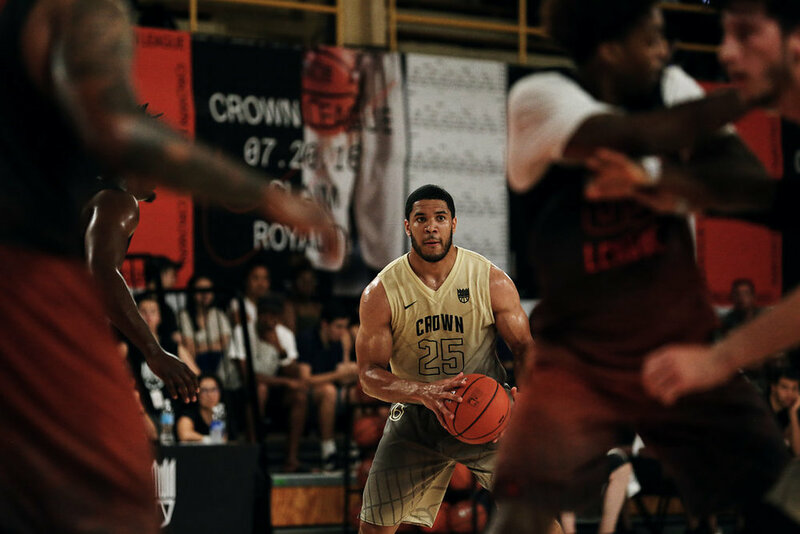 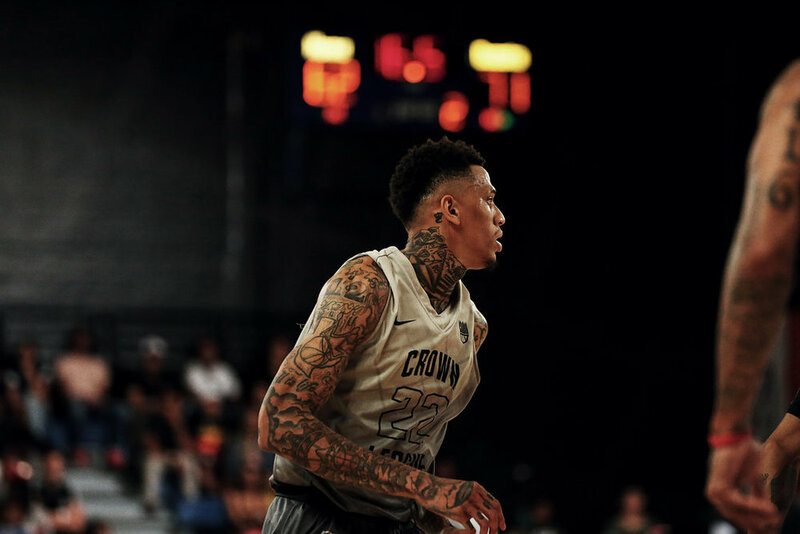 If you aren't familiar with Crown League, it is a league of pro and amateur players that showcases the talent in our city. 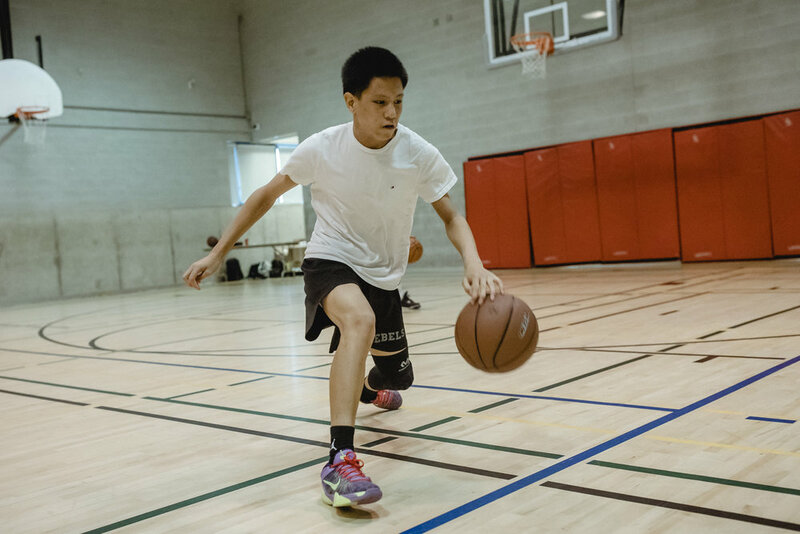 It is free to attend and will be ongoing every Friday for five weeks. 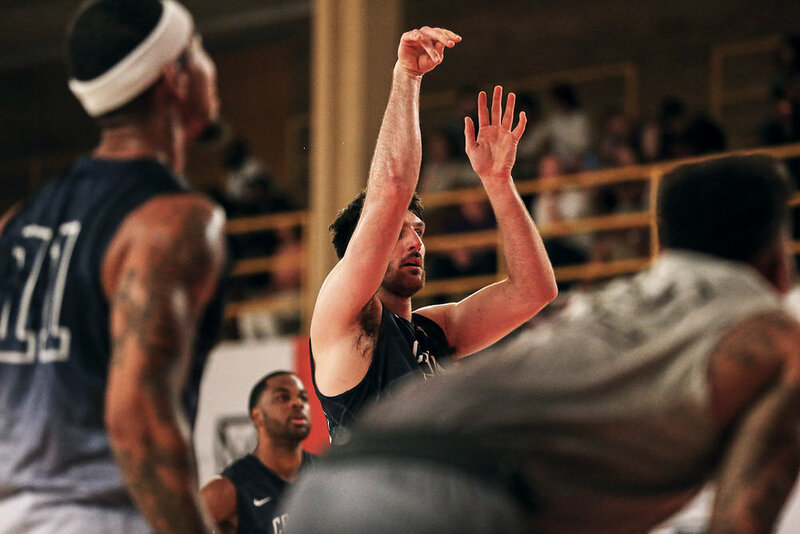 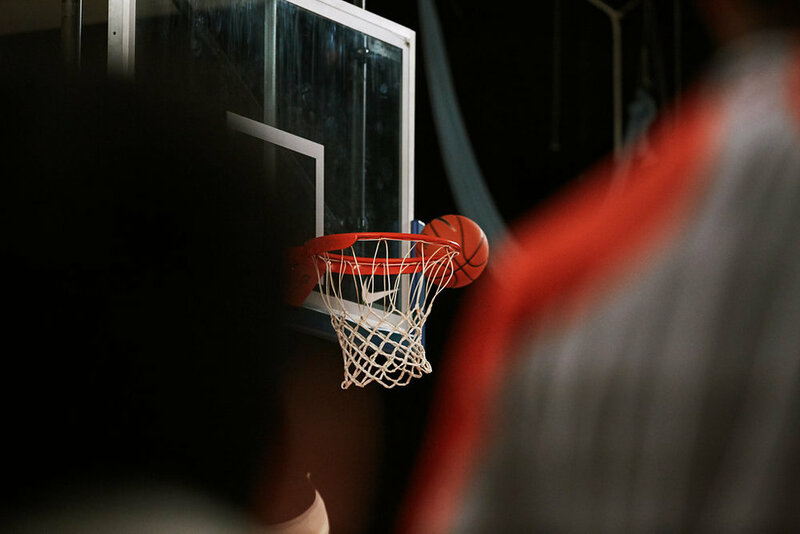 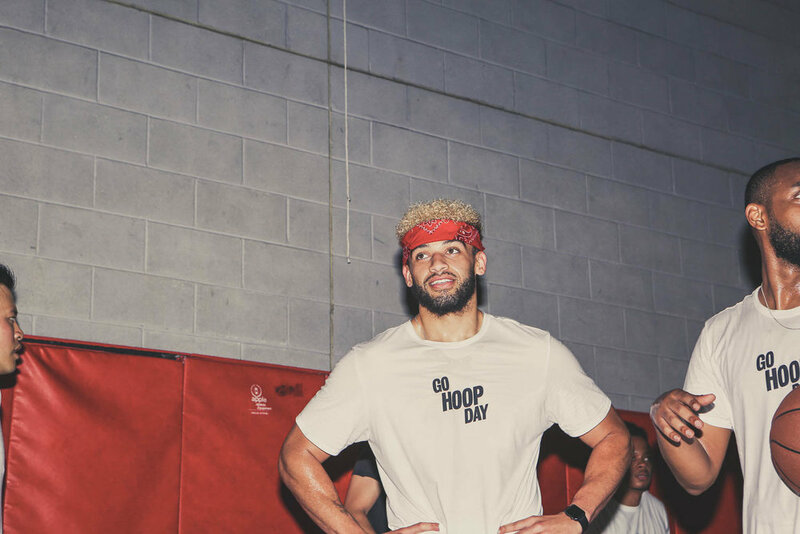 On June 23rd, 2018, the world celebrated the greatest game on earth with Go Hoop Day - basketball's global holiday. 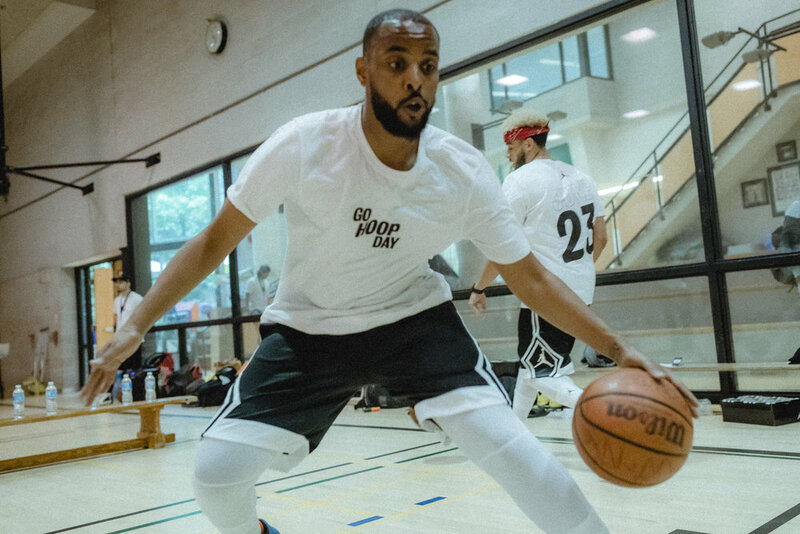 All over the globe, people and organizations participated in Go Hoop Day by getting out and playing. 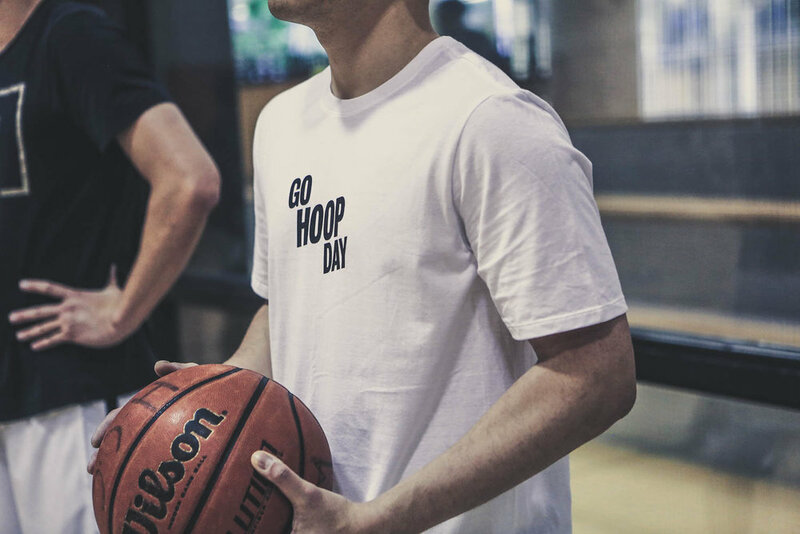 Read more about #GoHoopDay here. 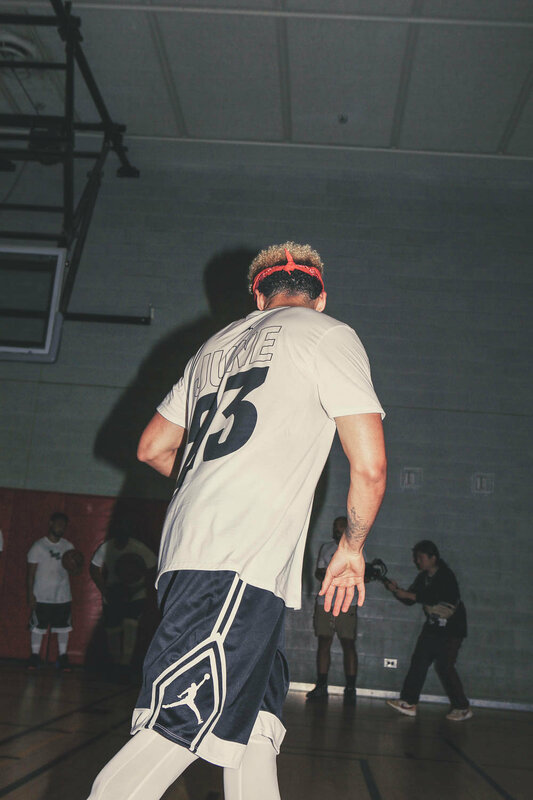 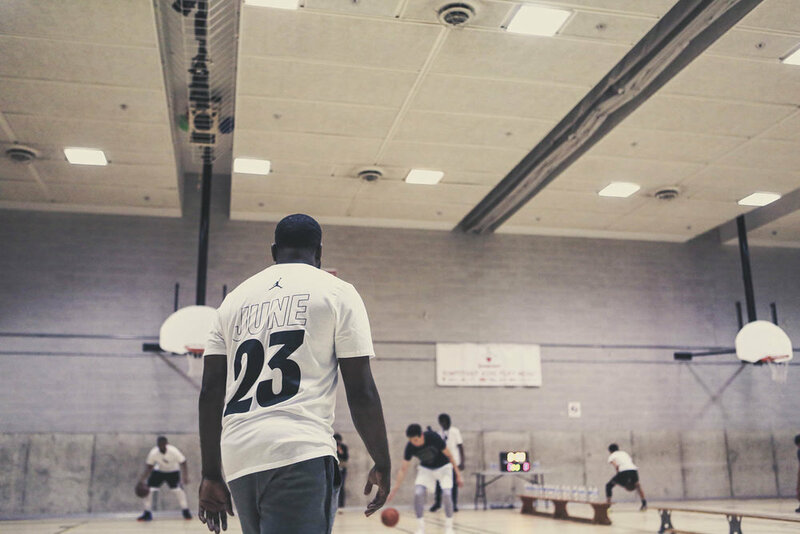 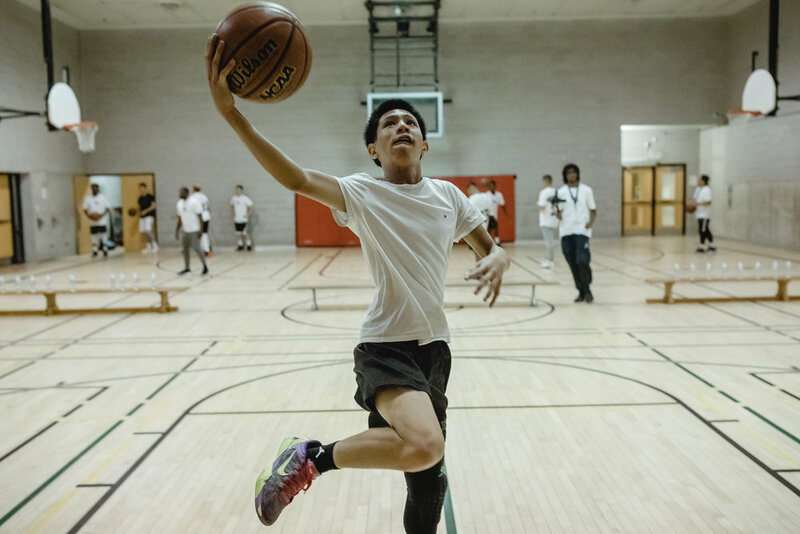 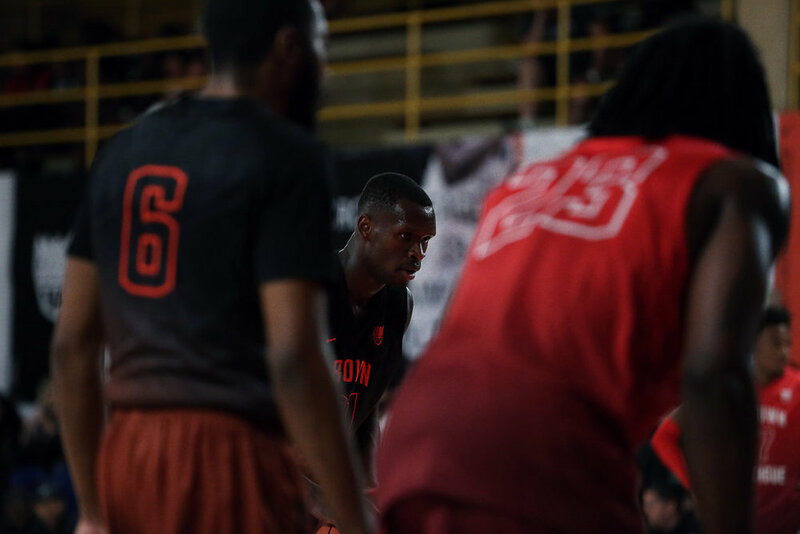 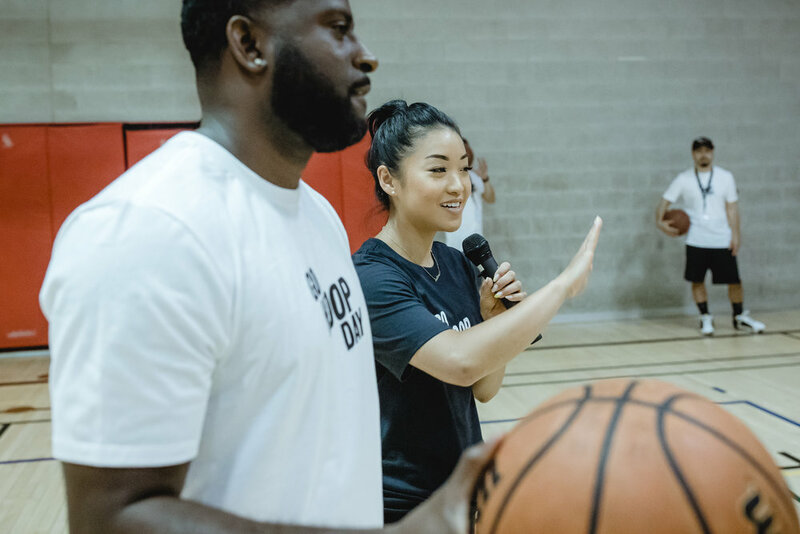 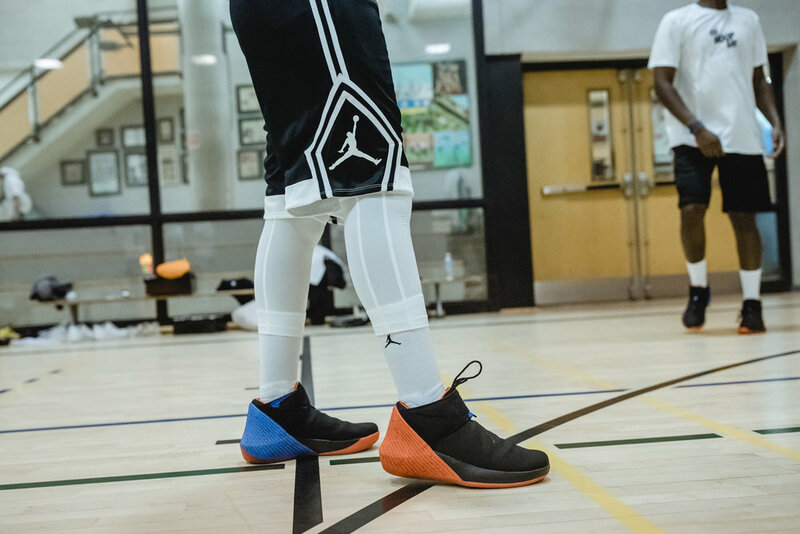 The Jump hosted the Toronto event at the Waterfront Neighbourhood Centre in downtown Toronto to build and amplify the basketball community in our city. 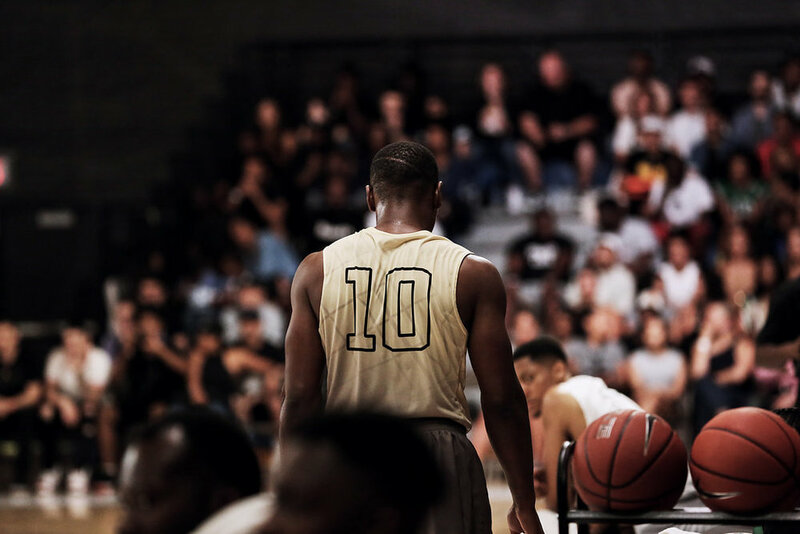 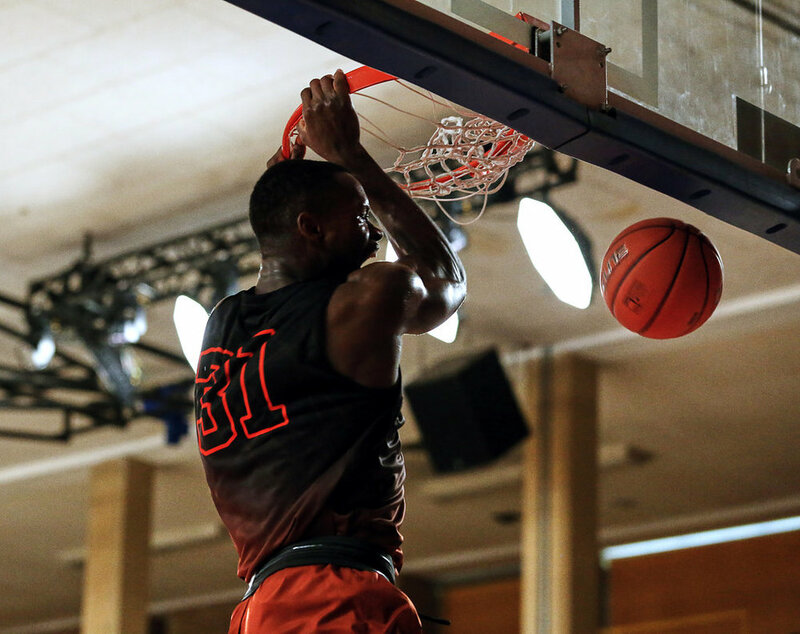 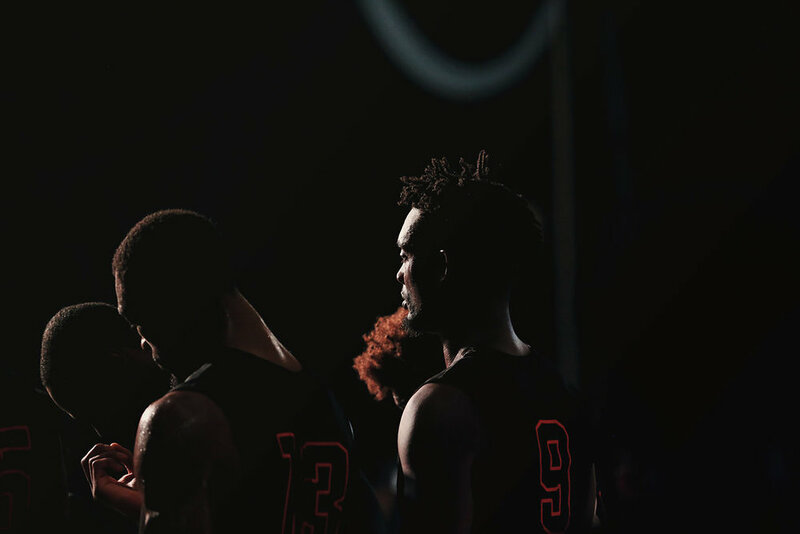 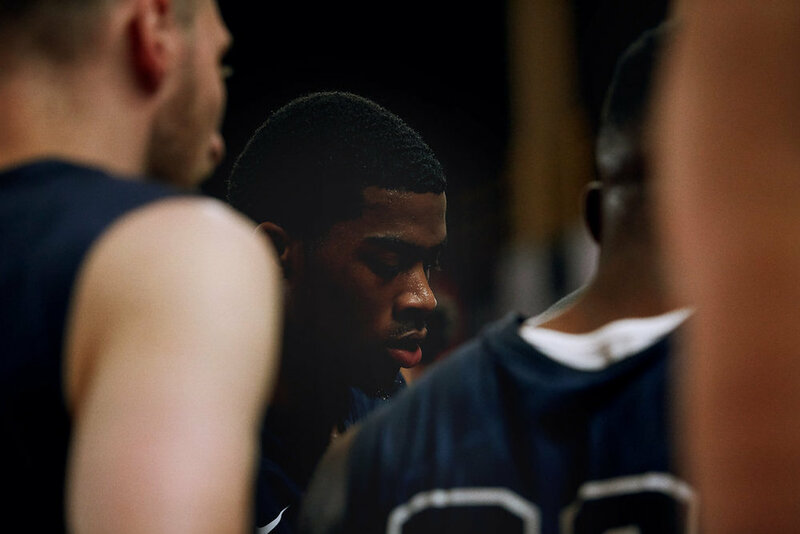 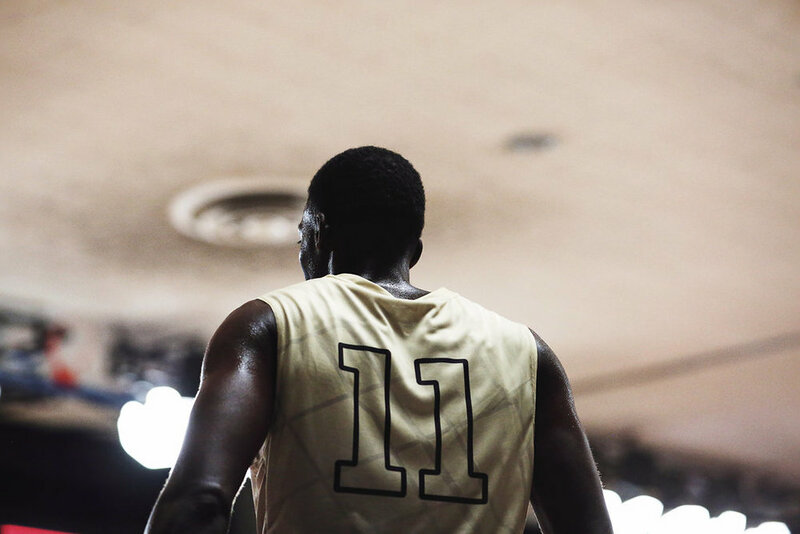 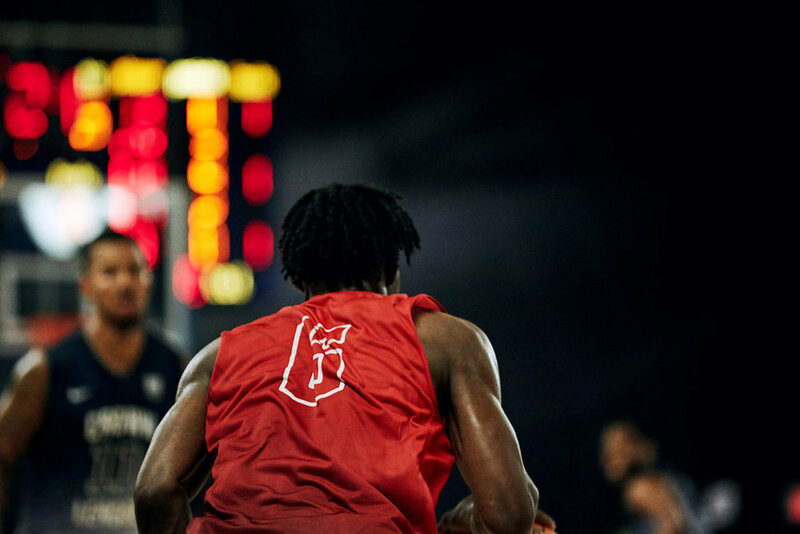 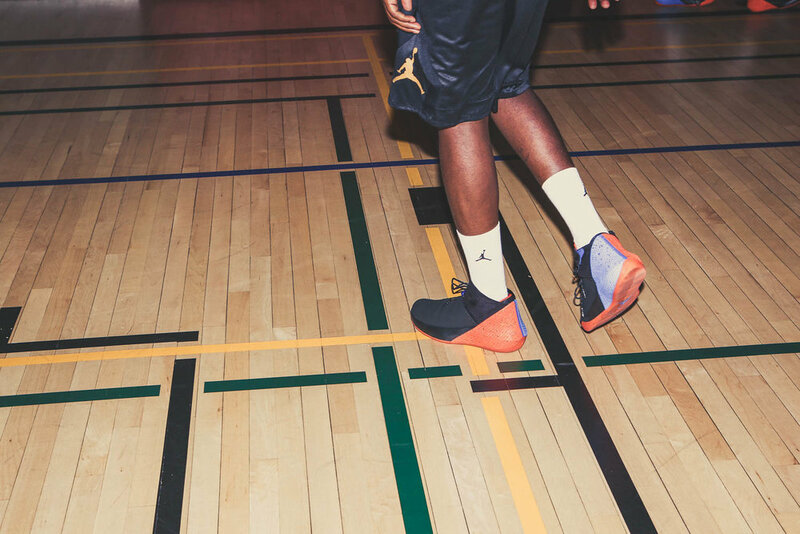 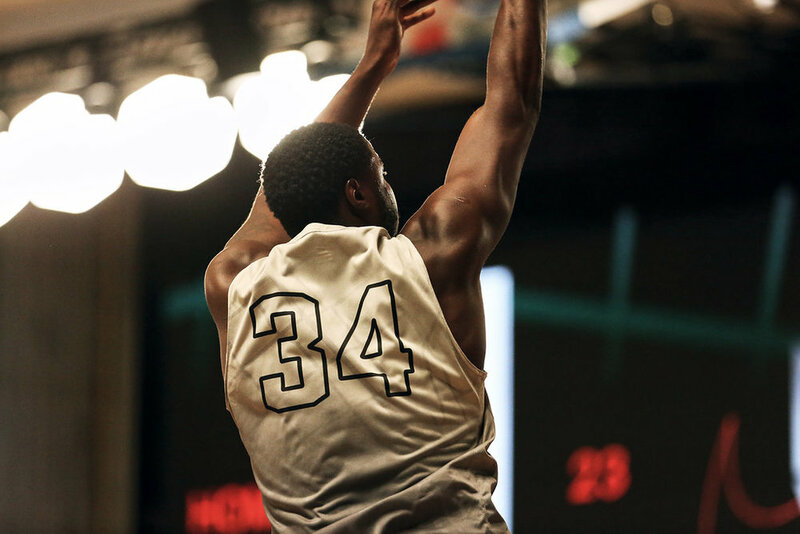 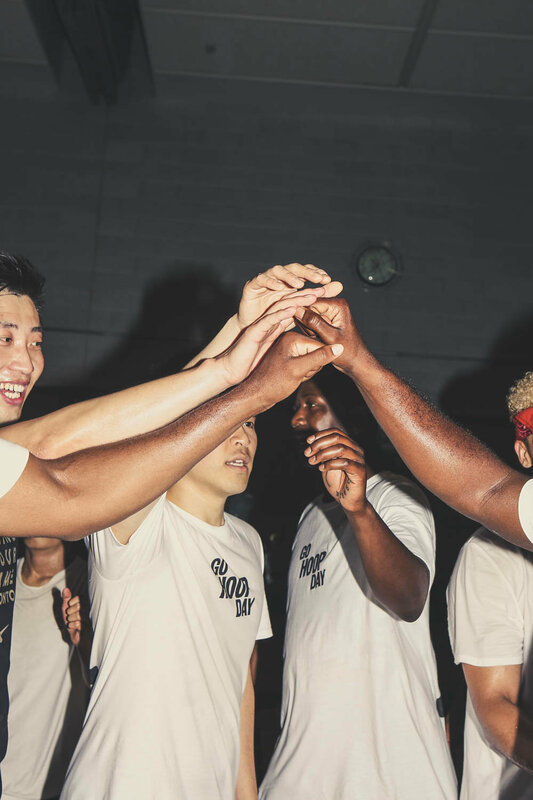 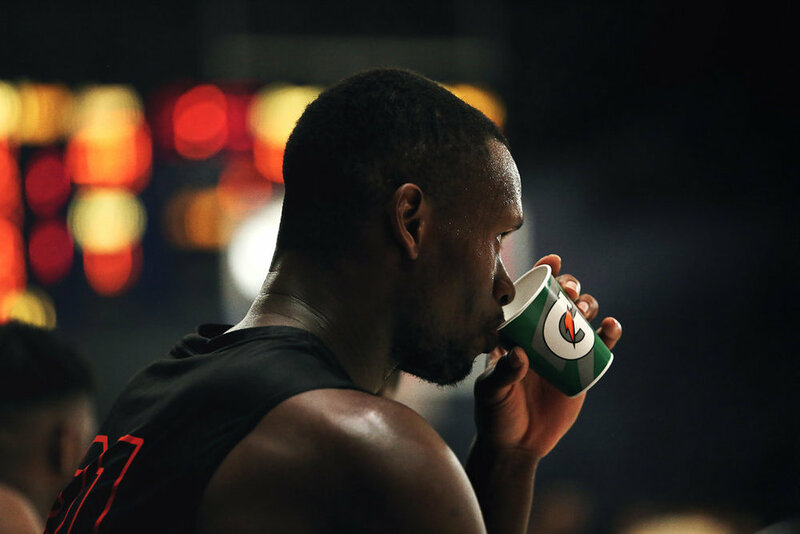 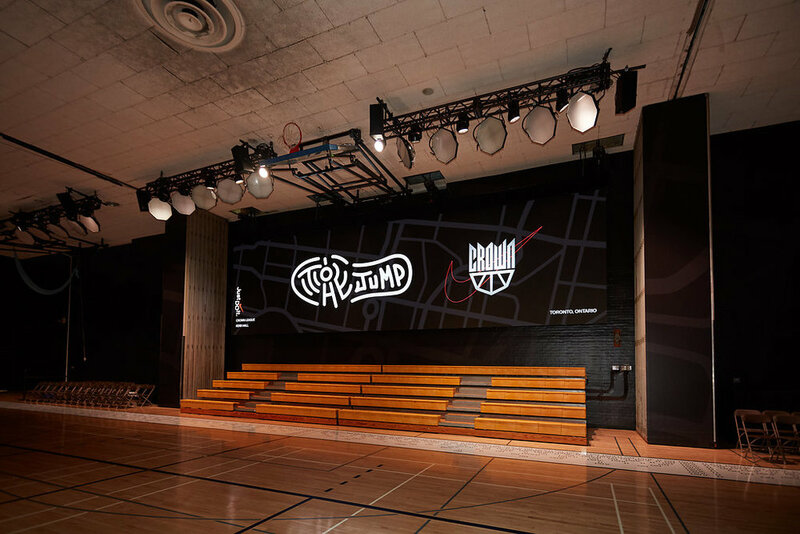 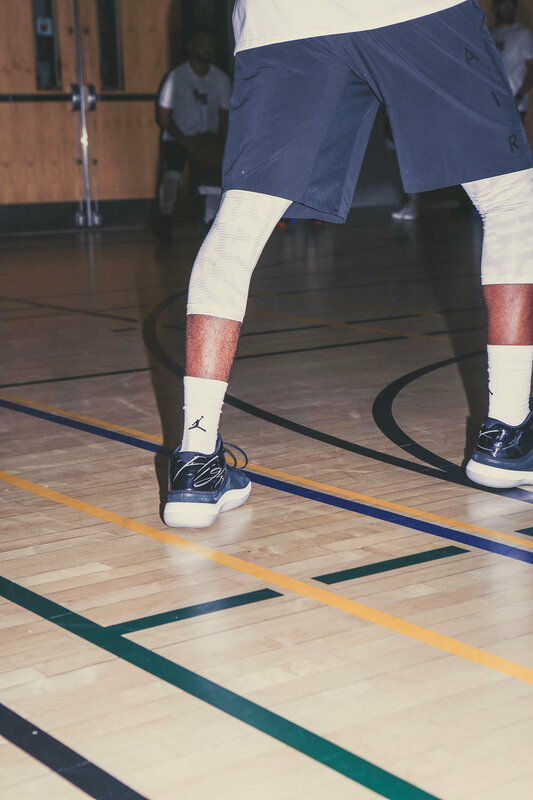 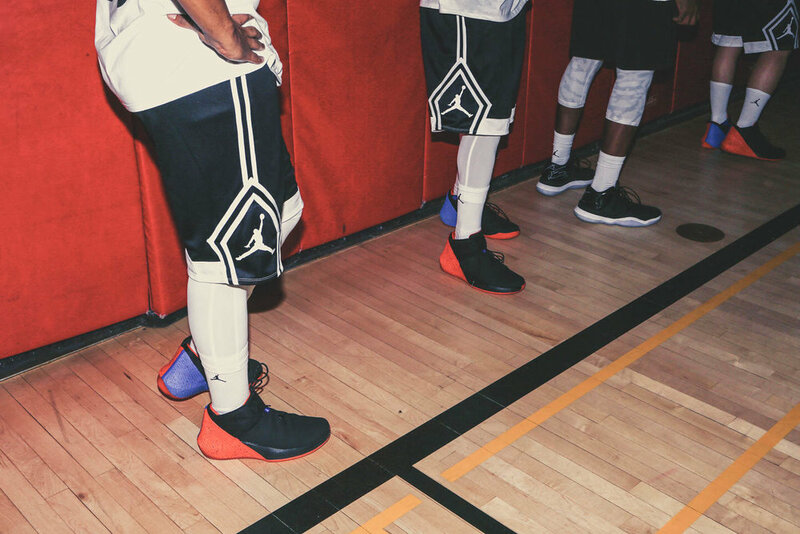 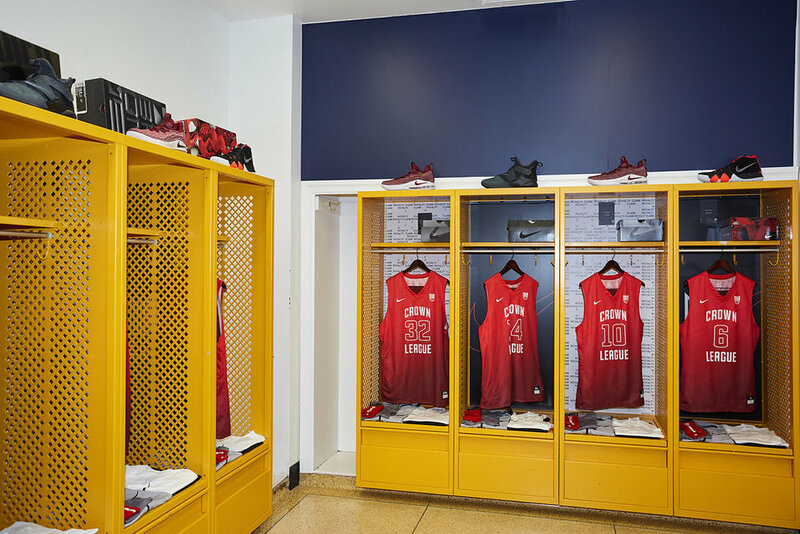 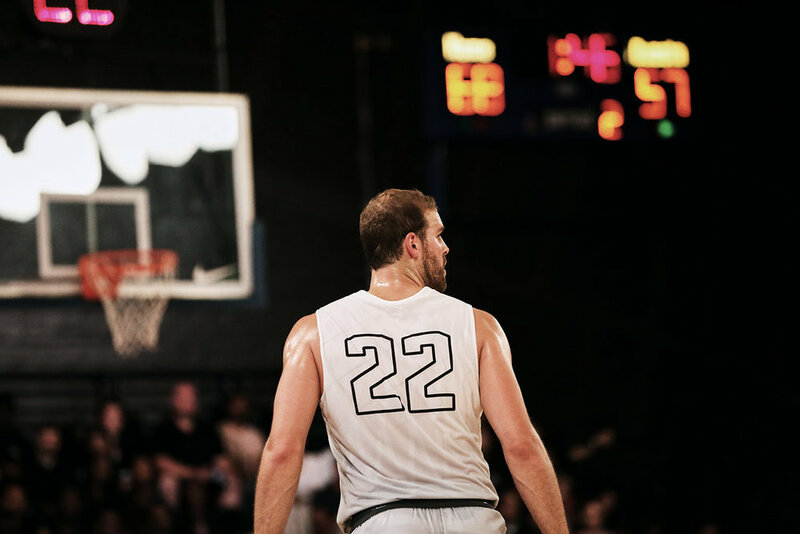 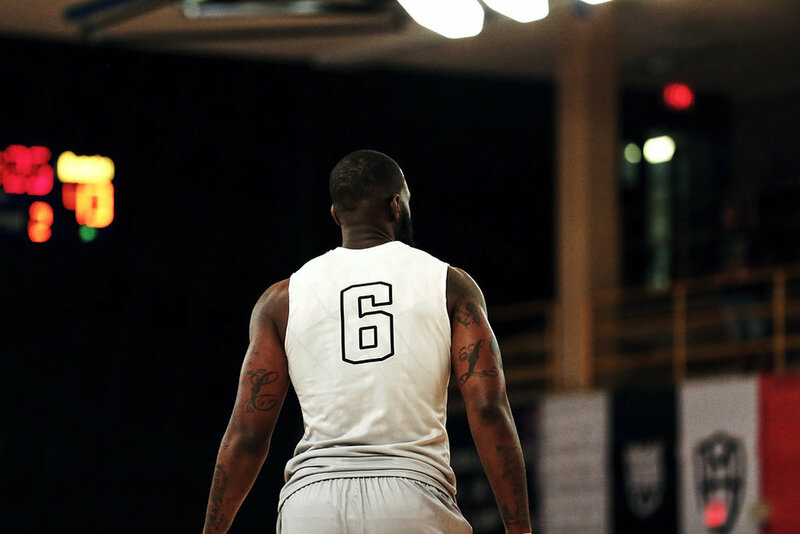 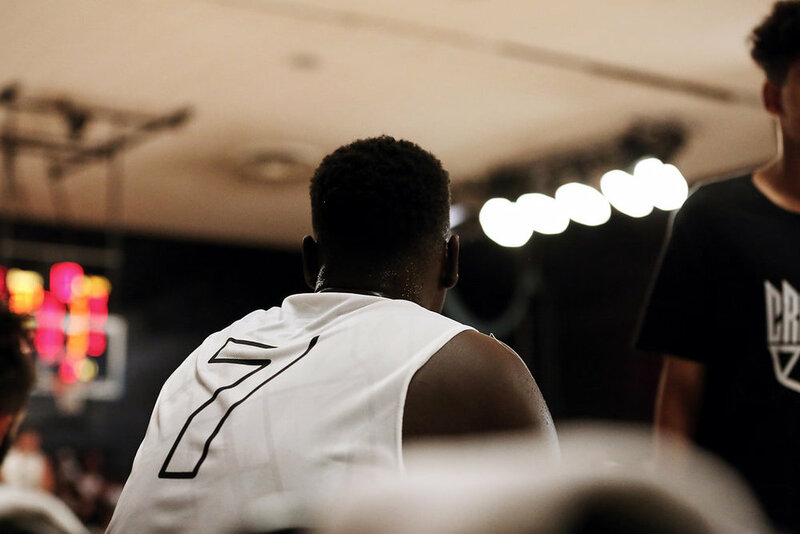 While basketball is a sport that doesn't need more than a ball to play, an indoor facility comes as a luxury to some people and we were fortunate to partner with the #GoHoopDay team and Jordan Brand to bring that to life. 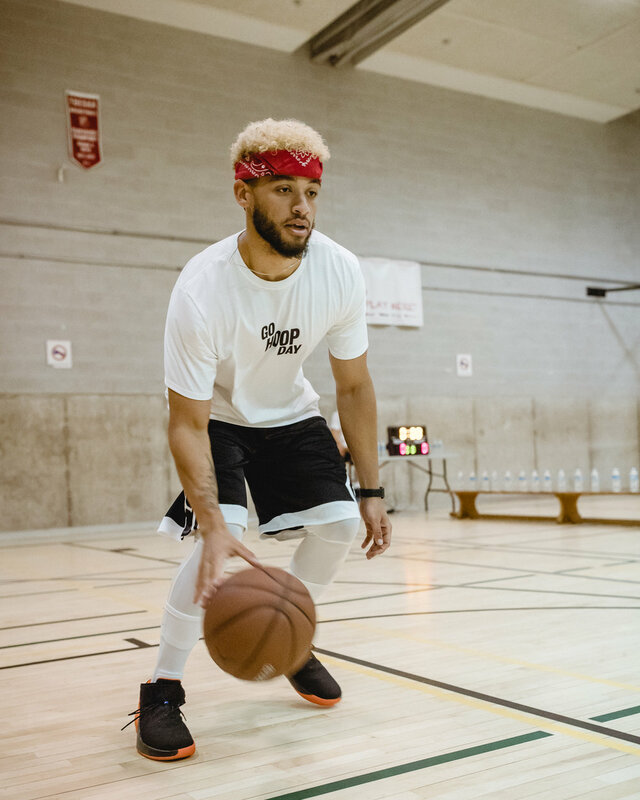 The event was open to all ages and free of charge. 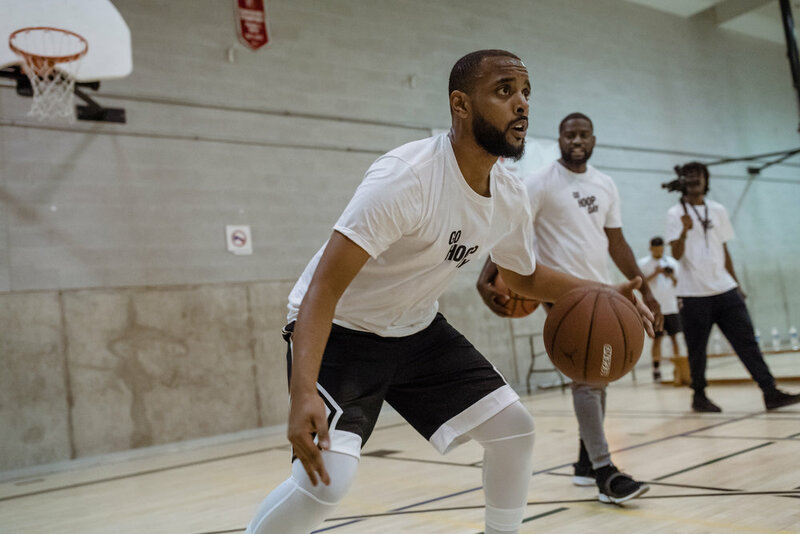 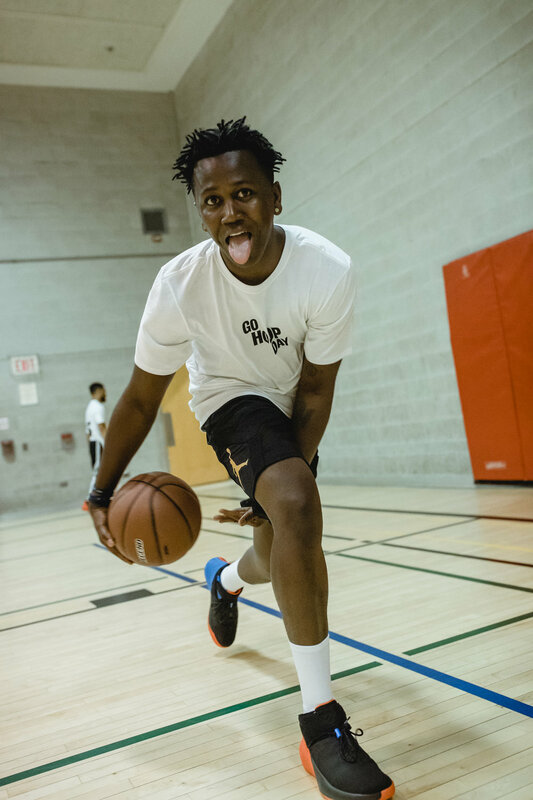 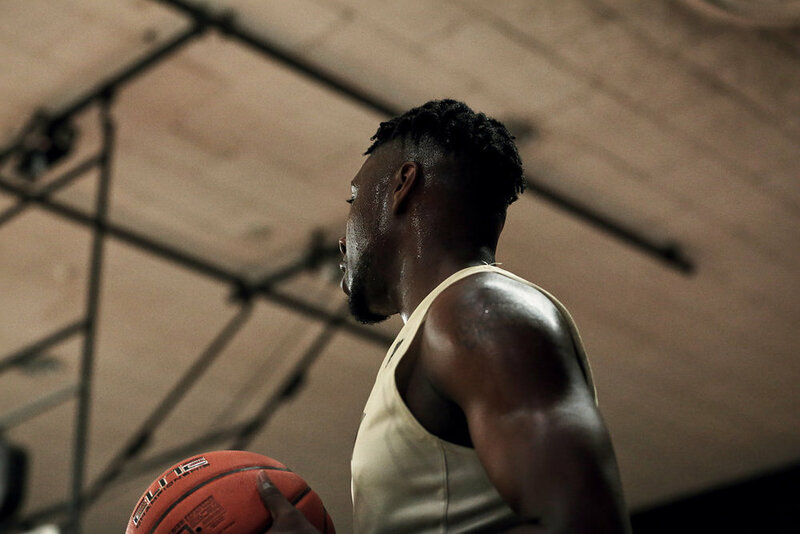 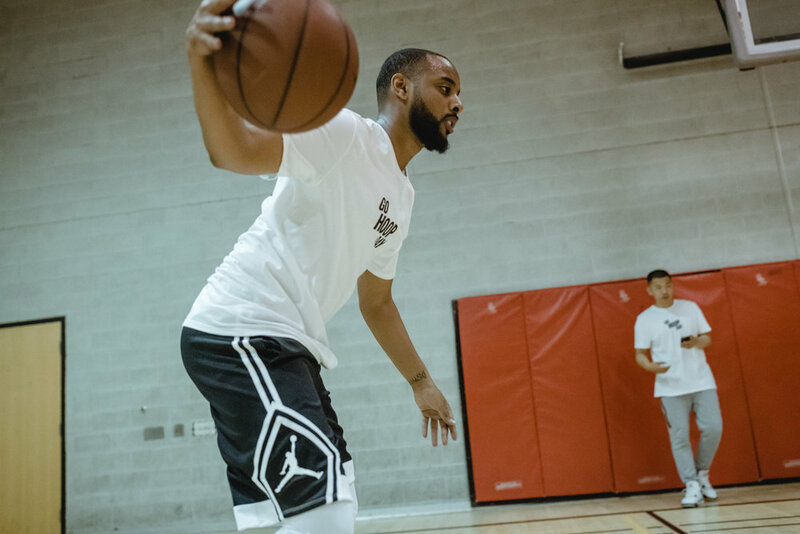 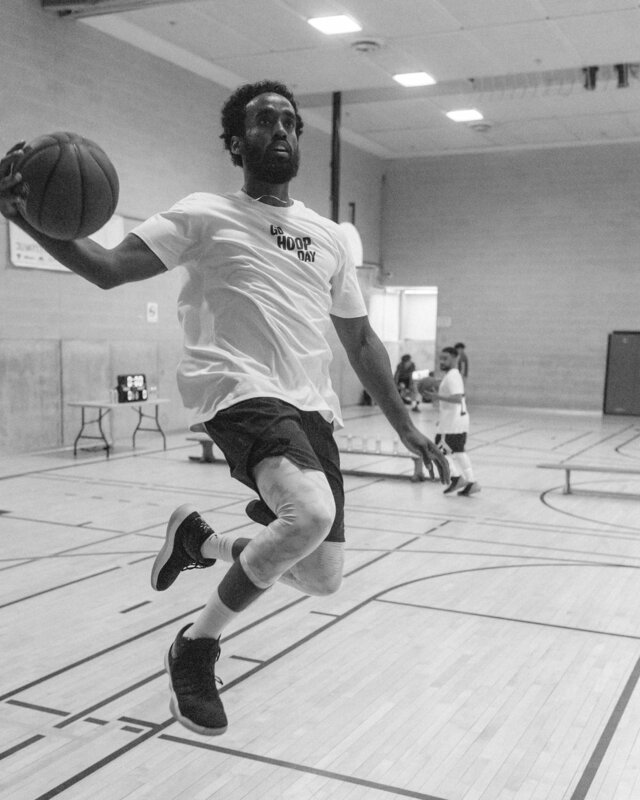 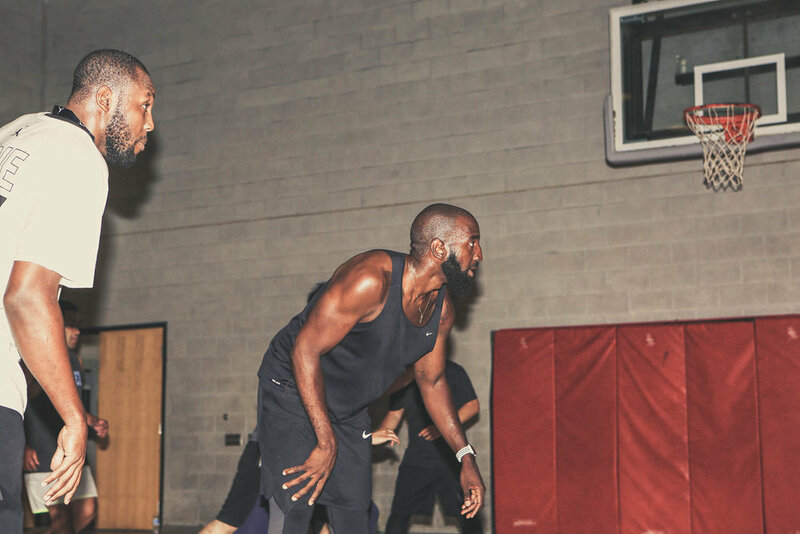 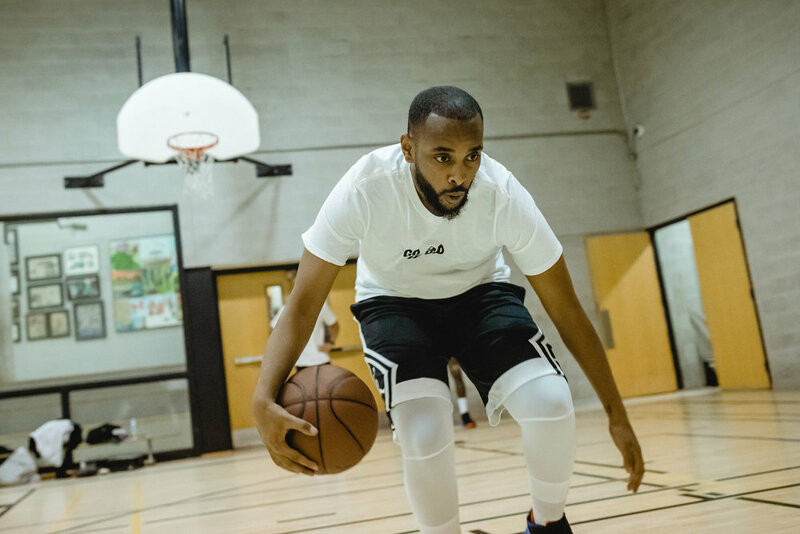 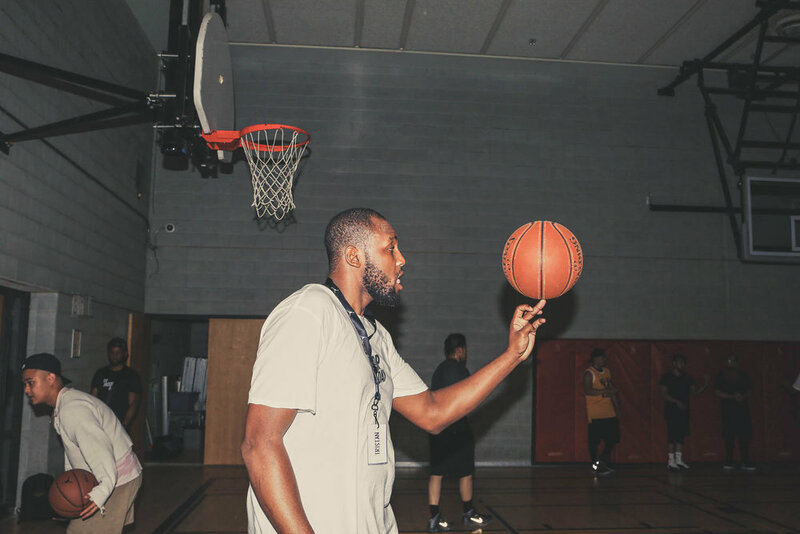 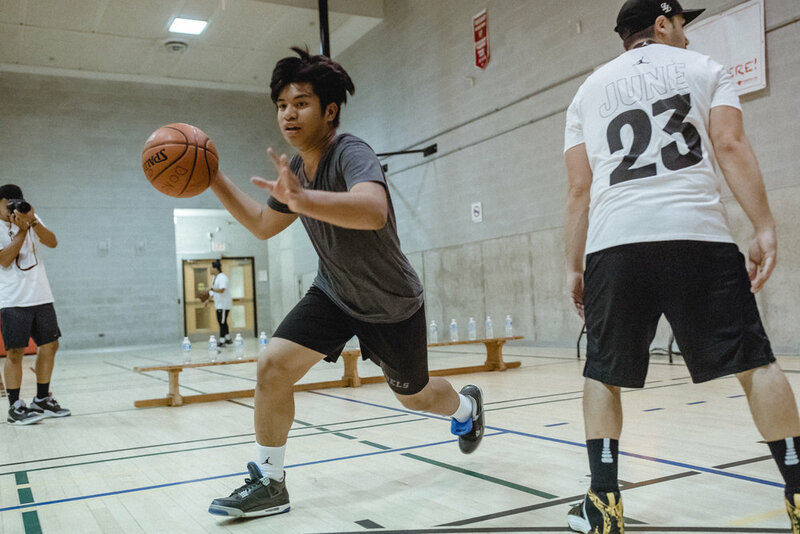 We started off with a private training session with Jelani of icanball.ca to take our influencers and ten of our followers through a professional elite-level basketball workout. 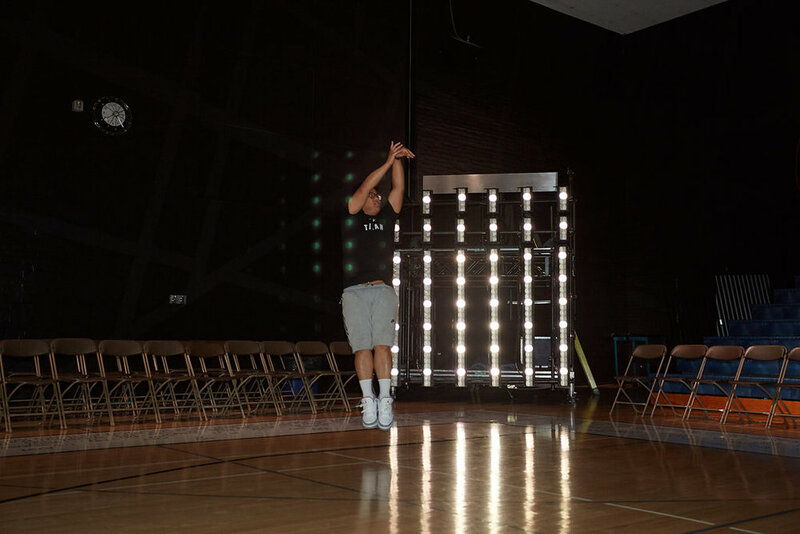 After that we opened up our doors to the public for an hour of open gym and games. 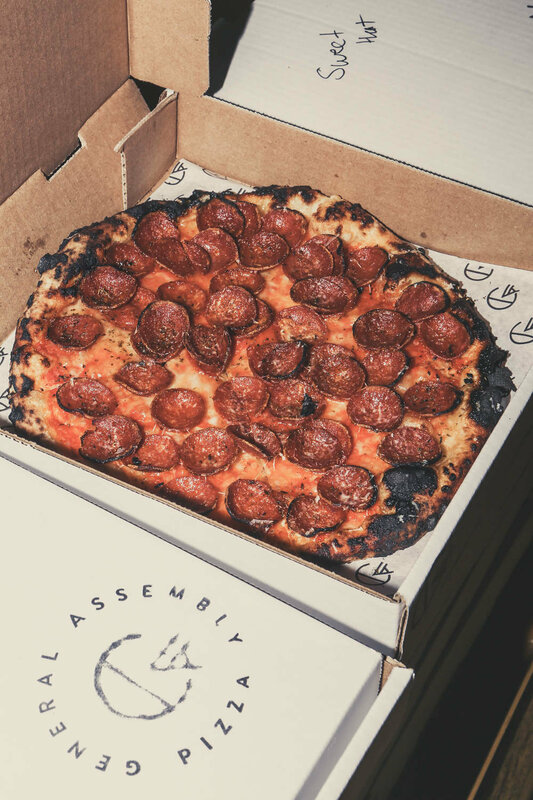 Special thank you to General Assembly Pizza for blessing us with food and Hilroy Canada for providing notebooks to give away.